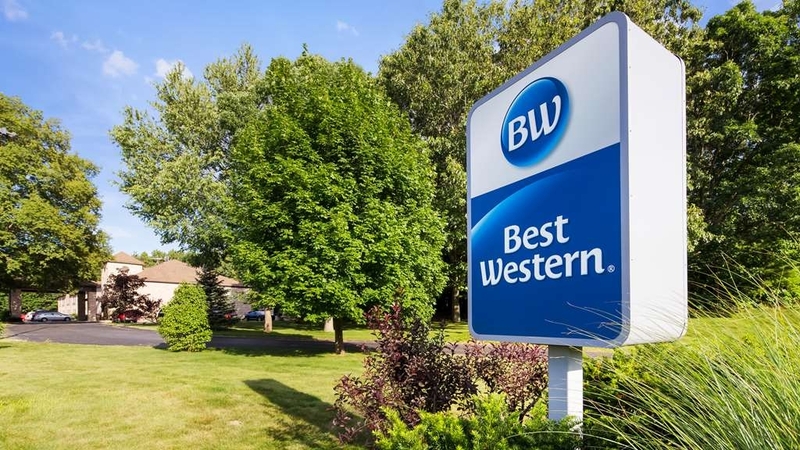 El Best Western Plaza Hotel Saugatuck se encuentra en el centro de Saugatuck. Venga y disfrute de las mejores atracciónes turísticas cerca de nuestro hotel. Precios bajos garantizados y ofertas exclusivas. Bienvenido al Best Western® Plaza Hotel Saugatuck. Al estar situado a poca distancia de la playa de Oval Beach en nuestro hotel de Saugatuck, no hay que hacer mayores esfuerzos para relajarse pudiendo dar unos magníficos paseos por la arena para comenzar sus vacaciones de la mejor forma. Disfrute de una fantástica ubicación junto al centro de Saugatuck y junto a las principales atracciones locales. Pase su día en el club de campo de Clearbrook, situado a solamente unos minutos de nuestro hotel de Saugatuck. La galería de arte de Saugatuck es una atracción de obligada visita y permitirá a los viajeros acceder a la cultura local. No obstante, al tiempo que las proximidades ofrecen numerosas actividades de interés, muchos de nuestros huéspedes prefieren simplemente relajarse y disfrutar de nuestras magníficas instalaciones y servicios. Nuestra piscina cubierta y las nuevas y flamantes camas le harán sentir como en casa. Relájese con un televisor con pantalla plana de 40 pulgadas y más de 100 canales. El desayuno continental gratuito con gofres recién hechos, pasteles y fruta es justo lo que necesita para comenzar su día de la mejor forma. Aquí podrá disfrutar de una variada selección de cereales, yogur y suministro ilimitado de jugos fríos y café 100% Arabica. Con una excelente ubicación junto al Parque Estatal de Michigan, la naturaleza local es otro de los principales motivos que atraen a los viajeros hasta este hotel de Saugatuck. Aquí estará situado a poca distancia de todo, desde playas hasta rutas de senderismo, zonas de acampada y fantásticos restaurantes y tiendas. El centro de la ciudad cuenta con numerosas boutiques y una interminable oferta de tiendas donde podrá encontrar todo tipo de tesoros o recuerdos. Este hotel de Saugatuck da la bienvenida igualmente a numerosos viajeros de negocios, quienes disfrutan de nuestra excelente ubicación para sus desplazamientos y de unas lujosas camas. Entre nuestros huéspedes de negocios habituales se incluyen los empleados de LG Chem, Saugatuck Brewing Company®, Haworth Douglas Michigan Plant o Johnson & Johnson. Si se encuentra aquí en viaje de negocios, podrá disfrutar de unas apacibles y amplias habitaciones diseñadas pensando en la mayor comodidad de los viajeros. Si hay algo más que nuestro cordial personal pueda hacer para proporcionarle una estancia aún más agradable, no tiene más que pedirlo. Tenemos el firme compromiso de proporcionarle solamente lo mejor. Reserve su próximo viaje en el Best Western® Plaza Hotel Saugatuck hoy mismo y prepárese para rejuvenecer durante su estancia. Disfrute de su estancia en nuestro hotel. "Good value for the area." Everything in Saugatuck tends to be overpriced, but it is a nice "beach-town" to enjoy a weekend getaway of shopping, dining, and relaxing. We only live 45 minutes away, but we were going to a friend's wedding party and didn't want to drive home after. The hotel is in a great location just off the Blue Star Highway and a few minutes from Saugatuck/Douglas. Check in was fine. The room was clean, parking was plentiful, the amenities were sparse but not unexpected. We didn't have time to use the pool, fitness room, or free breakfast. Lots of families with kids there using the pool. We stayed there because it was the lowest price in the area for the night. We would stay again. Outstanding service and cleanliness. The staff was pleasand and helpful. Very thorough in answering our questions about the area and for accommodating us in the hotel. If in the area again we will definitely stay at this hotel. Memorable stay. "Saugatuck Michigan Best Western Plaza Motel"
I work down the road from the motel, and when the weather is bad in winter, where I am unable to make it home, which is about a 25 mile drive one way, or back to work, due to weather reports, I stay there. Rooms are always very clean. There is a small refrigerator that comes in handy for beverages, and snacks that need to be kept cold. Plenty of towels provided. Beds are very comfortable. Shampoo is provided if needed, bar soap also. Coffee maker in bathroom, along with a hair dryer. There is a indoor pool, and exercise room. I have not had opportunity to use them yet, due to the hours I work, so I am usually sleeping most of the day. They provide breakfast. Their is fresh coffee, juice, cereal, instant oatmeal, pastries, bagels, bread to make toast, yogurt, you can even make your own waffle or waffles. There is also eggs and sausage patties. I usually partake of breakfast, but not always. Sometimes I grab something to eat at work. There are several good restaurants in town, which isn't very far from the motel. Not far from Highway. Do not judge the appearance by the pics.Hotel rooms are dated, drafty...definitely bring flip flops to walk around room.Entry way and walks were snow and ice covered with minimal signs of clean-up efforts...husband used their shovel in the foyer to scrape some of the ice away. "Good value, close to down town"
We were looking for a quick get away and wanted a good value that was close to down town. The hotel was updated, clean, quiet and a quick 1.2 mile drive to down town by taking Holland Road. They have coffee and breakfast that was included with the room and was adequate. My wife is on their hotel rewards program so she got a good rate at only $81 a night, plus tax. I loved this hotel it looked super clean and it looked like they got new stuff and the breakfast bad good and it was free! I really recommend this hotel and I paid a great rate for 3 days. The staff are very friendly and nice! Nice place. The breakfast was nasty but everything else was good. Peter was awesome and very helpful. Its on a highway so it's a long walk to downtown. Also the elevator is only at one end of the hallway. So if your on the other end it's an inconvenience. First the good; bed, pillows, coffee in lobby and continental breakfast. Now the not so good; room walls thin, bathroom needs updating, elevator broke down, people getting stuck in it. Staff seemed sparse. No housekeeping to give extra towels til after 10am. Hotel is at the end of town, good for being out of the way. Had a good dinner at Clearbrook Country Club literally down the road. Had a fridge and microwave in room. Fridge good the microwave not. The door was very hard to close and kept sticking. Served our purpose! We were looking for a place to stay while on a road trip, for one night. Thought Best Western would be a safe bet. Price was reasonable. Room had a musty smell, and the carpet was sticky. The place was quiet, but there is nothing around. No food, gas stations, or services. The water was very hard, so taking a shower was interesting. Breakfast was included, but it was only so-so. Good coffee. There was a dead plant in the lobby, and the staff didn't seem to care much. I would not stay here again. "Not very clean, good breakfast"
From the exterior, the hotel is pretty nice. The lobby is fine and the dining area is kept clean and organized. Our room, however, had a strong musty odor upon entering and was not as clean as expected. We found stains/smudges on bedspreads as well as dried snot crusted on the hotel pen. The pool was okay, but there were not enough towels for our family of four. The staff was friendly enough, but did not do anything to fix the smell. The breakfast was very good and as expected and the location was also very convenient. Still, would not stay here again. It was extremely expensive for the conditions of the room. We had planned to take a swim after checking in & before going into town to shop. The pool area was very plain & plants surrounding pool were dead or dying. The water was frigid, very few towels & the ones that were available were very small & thin. Fitness area consisted of weights & treadmill. Not very inviting at all. 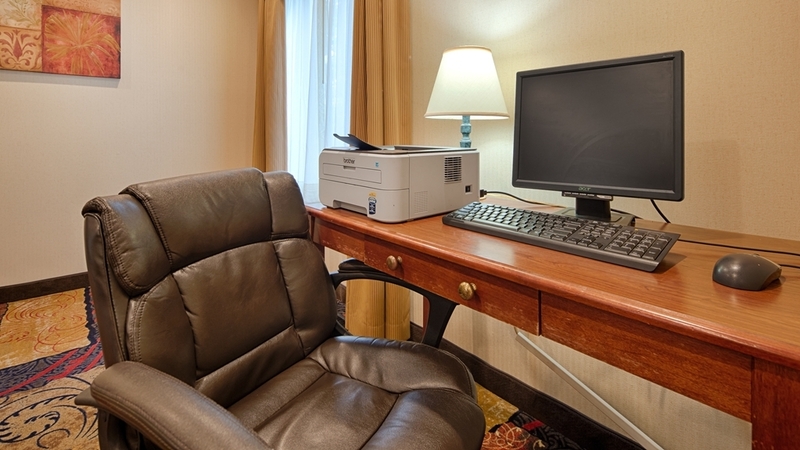 "Good BW not too far away from the town center"
The hotel is clean and the rooms spacious with desk, nice size bathroom. It is located right off the highway but you do need a car to get to the center of Saugatuck. Although close to the highway it was quite. Nice, free breakfast with hot and cold side. Staff was very friendly. 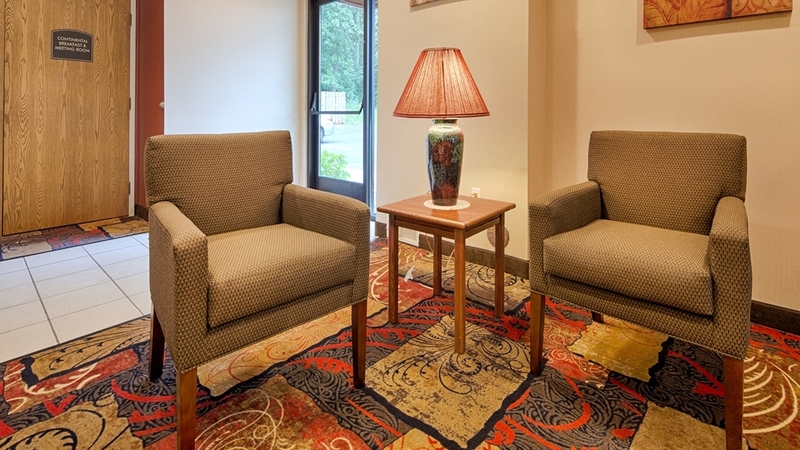 "Great option for a short visit to Saugatuck"
This hotel was clean and in a great location. If you want to walk, you can walk into town, otherwise it is a quick 5 min. drive. Free parking and breakfast with fruit, yogurt and cereal for those who don't want hot options. The staff was nice and the rooms are an adequate size, with some being quite large. "Nice hotel better than basic"
Clean and close to everything. Quiet. The location was right off the highway and close to all attractions in the Saugatuck area, with easy access to Holland, South Haven and even to Grand Haven. The free breakfast was a nice touch. "Good service. In need for update"
Close to saugatuck centre but need a car. Rooms and carpets are a bit run down. Lift broken. Pool was nice. Service was good however. Had an issue with the room and was moved the next day without fuss. Breakfast was standard but had good bacon. "Affordable but not overly impressed"
This property appears to be owned by a nice family struggling to maintain it. They appear tired and not professionally dressed. Hotel is a bit less than average for a BW... very dirty carpets, the mirrors in our room were streaked, several hairs left behind in bathroom. Continental breakfast a bit sad. Would stay here again if it is a great deal less expensive but would prefer other options. Hope this family gets some help so they can perk themselves and their property up. If you want a decent place to sleep, this fair to middling Best Western will do. If you want to enjoy a visit to a pleasant, river-oriented, tourist town, it won't. It's miles from town with nothing interesting nearby. This hotel was located right in the middle of everything. 5 minutes from Saugatuck, Douglas, Oval Beach, Sand Dune ride. The staff was helpful and pleasant. The breakfast was very good. There was fresh fruit available and the area was very clean! We stayed one night at this location as we celebrated my friend's 30th birthday in Saugatuck. They were renovating the end of the hallway to install an elevator at the time of our arrival; however, were very conscious of ending their work day at an appropriate time to not disturb those staying in the hotel. The hotel staff were very friendly and accommodating. They checked in with our party multiple times to ensure we were enjoying our stay. I booked this hotel through hotels.com and found a decent rate by booking a few months out but saw the cost the day we checked in and I would say for the cost, you could stay at a smaller, privately owned hotel/cabins that would have been more worth it. While we were there, we did have time to enjoy the pool and hot tub; however, the hot tub was ice cold. The staff attempted to adjust the temperature but we weren't noticing a temperature change. We heard others staying at the hotel complaining of the same issue. They do have a continental breakfast but I did not try it. Overall, I would say the comfort and the cleanliness of the hotel was pretty well and we would probably consider staying again if we traveled here. "Beautiful wedding nearby, disastrous stay here"
Block of rooms booked (in advance) for wedding; upon each & every call, staff cannot locate confirmation number for stay. At checkout, they claim not to know about any discount for the wedding, cannot breakdown payment (bride & groom pay 1st night, guests pay 2nd night) causing us to try to contact them bright & early the morning after they're wedding and tells us that it's on the customer to remind them of their rates & agreed upon discounts at check-in and check-out...apparently, a business shouldn't keep track of this on their own. For 5 minutes they argued that they couldn't refund the money & correct the charges. They had to call corporate to be walked through simple instructions on how to apply the proper discount, upon receiving the new cards they loudly claimed it'd been denied. Horrible service - it's subpar and substandard. Hair found in towels. Stains on mattresses. Hard water. Smoke detector was attached to the ceiling with tape. For $260/night this hotel is in dire need of major updating & the staff needs some major training. This is not what I've come to expect from Best Western at all. I wouldn't recommend anyone stay here under these conditions under any circumstances. If you're thinking about booking here, RUN! 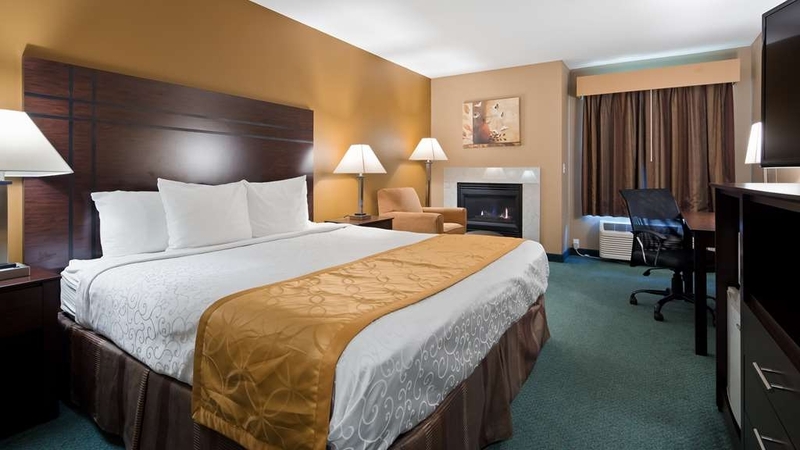 "Basic hotel within short drive to Oval beach and downtown shopping and dining." We booked directly with the hotel after asking a few questions and were promptly emailed the conformation details. We stayed for a night to explore the downtown Saugatuck area and spend few hours at the beach next day! We didn't want to spend a lot and still stay with a chain hotel, include a continental breakfast and proximity to the beach was the deciding factor! Hotel shows its age, however the rooms, bathrooms, common areas were very clean and well kept! There was some construction going on and when asked they mentioned they are adding an elevator for second floor access! Carpets and paint in the hallway looks dated, but again it didn't bother us! Breakfast was just okay, had scrambled eggs, sausage patties, waffles, yogurt, cereal etc. Staff/owners were pleasant to talk to. I think they can put in some updates and improve the quality of breakfast, this place may attract more tourists. Staying for a night for a price @ $140/night seemed a bit high, but it served our purpose. We stayed at the Best Western Plaza and found it to be very nice. A good location just outside of Saugatuck. Our first time in Saugatuck and we enjoyed it very much. The restaurants and shops were great and you couldn't beat the atmosphere of the town. Definitely worth the drive there and we'll be back. "Exactly what you would expect"
Clean rooms, friendly staff, comfortable beds, pool for the kids, hotel for the adults, decent free breakfast, and a five minute drive into downtown Saugatuck/Douglas area. Fair pricing too! We booked a room here SUPER last minute after our original lodging was a complete disaster. I have never been so grateful to be in a classic hotel room. The staff (seemed to be family owned) was very attentive and friendly. Would absolutely stay here again! PLEASE NOTE as of right now, they do not have an elevator but have two floors. Keep this in mind when traveling with the disabled. Though there was construction going on while we were there (which we seriously never heard, just saw the evidence) so maybe they are installing one? We have stayed here on past visits to Saugatuck and have always found the rooms clean and up to date. The hotel is family owned and operated and they are personable, hard working and always very kind to my father and I. The breakfast is typical of other hotels but they did have some fresh cut watermelon which was a treat. Clean place, good price and nice people pretty much sums up my review. We will stay here again when we pass though Saugatuck. We had a brief overnight stay here. The room had two queen beds and a pullout couch. (3 adults and 2 children) The room was basic and clean. We used the frig in the room and coffee pot in the room in the morning. There is a small pool and hot tub however we didn't use them but had we had more time I would have jumped in. Check out time is 11:00 AM and check in tine is 3:00PM. Plan accordingly. They have a breakfast bar area with plenty of food to get you going in the morning. (Including some hot food items, pastries, cereal, fruit, juice and waffles). We all had plenty to eat. The hotel is really close to the beaches. It served our purpose perfectly. I always stay at this Best Western as it is close to where I work. I work 3rd shifts, and especially in winter time, which can be brutal, I will get a room, instead of trying to drive home in bad weather, or trying to get to work in bad weather, or if I am working extra hours, feel too tired to try and drive home or into work. Staff are always very friendly and helpful. Rooms are very clean. Owners redecorate on regular basis. Beds are firm. Room internet provided. Breakfast provided. Swimming pool, gym. Laundry facilites if I need clean work clothes. Close to larger citites. We spent two nights here while visiting the towns of Douglas and Saugatuck. The rooms are clean and typical for this style of hotel. The management and staff are friendly and pleasant. The breakfast was ample. This is a great hotel for a visit to Saugatuck.. Close but yet a bit removed. We also stayed here to attend the Tulip Festival in Holland which was only a 15 minute drive away. They are in the process of adding an elevator tot he hotel which looks like it should be finished by summer. The stay is super friendly and will go out of their way to help you!!! Very clean and quiet hotel. Easy check in and we were early and they were able to get us into our room. Very friendly staff and a very nice breakfast with many choices. We were able to do Saugatuck one day and Holland the next. Would stay at this hotel again. "Good value in a tourist area." The hotel was away from the historic downtown and beautiful harbor of the lake which was fine with us. Our reservation had been made two weeks before. It was the slow season but a beautiful area to visit. Will need a car to access beaches, tourist spots, etc.. The hotel was okay. Pretty dark and only a few rooms occupied so was disappointed when told all rooms on the other side of the hall, facing the woods,were booked. Only saw four cars in the lot overnight and five guests during our stay.. Swimming pool was dark and locked early, no security on business computer for years, and breakfast area was unkempt despite no one using it. There were two slices of bread out and two sausage patties warm but were advised they would prepare more if we wanted. I understand saving money but this seemed extreme and unwelcoming. If you want a clean room and do not wish to use the amenities this is fine. I imagine it caters to larger groups in season since has more rooms than local motels so we caught them in a down time. Okay for us. "Nice clean, quiet hotel, pleasant staff"
I was very surprised at the hotel for the cost. Clean rooms, nice pool area with large hot tub. Quick check in and out. Breakfast was much better then most continentals I have had in the past. Quiet area but was close to the concert we were in town to see. The hotel is between the highway and Saugatuck making it easy access to both. The overall experience was excellent with a clean and comfortable room, good breakfast, very pleasant staff. We will stay there again this summer. Friendly staff, clean, quiet, and was very close to town. Will definitely stay again! The pool was clean and enclosed so I could get good exercise at night before bed. Sat in the lobby in front of the fire place and it was very comfortable, as if I was at home. "Feel bad reviews are unfair"
Nice hotel and people, and very economical. The property is up-to-date and in excellent condition. The staff asked several times how our stay was going. The TV channel selection is far more than you get in a typical motel/hotel. Each room even had it's own Dish Network receiver (instead the motel piping a selection of channels to the rooms with an RF converter). Breakfast was a little better than standard with eggs, sausage, bacon, biscuits and gravy, waffles, cereals, juices, and milk. I stayed in November and paid around $65 total. Everyone else was asking for much more. I also noted their summer rates are very reasonable. It may not be right in town, but at least you aren't getting ripped off. 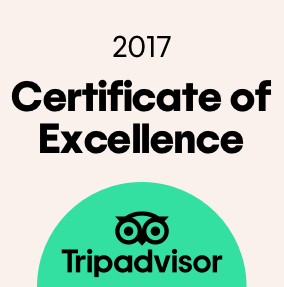 I had stopped leaving reviews on Tripadvisor after a dispute with the moderators. However, I felt a need to come back and at least post a review here in this establishment's defense. I think the issue might be since the owners are Indian that there may be prejudice. Saugatuck is a seasonal summer town so it's pretty quiet in the winter. Took the family there just for the use of the pool for winter blahs. Everything was just fine with the stay, no issues with anything at all. Would do it again. This hotel is very clean and the people who run it are very nice and accomodating. I would recommend for the price...They may need to turn the heat up on the hot tub as it was not that warm...but other than that our stay was very nice. "Stopped unexpectedly due to weather. Pleasantly surprised!" We stopped unexpectedly due to weather. A room was available. It was clean and neat, and the bed was comfortable. The desk managers on both the night and day shifts were polite and helpful. There is a free breakfast bar that is standard fare, but it's a great deal for a family of four. We would definitely stay here again. "Great place to stay when visiting Saugatuck." The hotel and room more than exceeded our expectations. 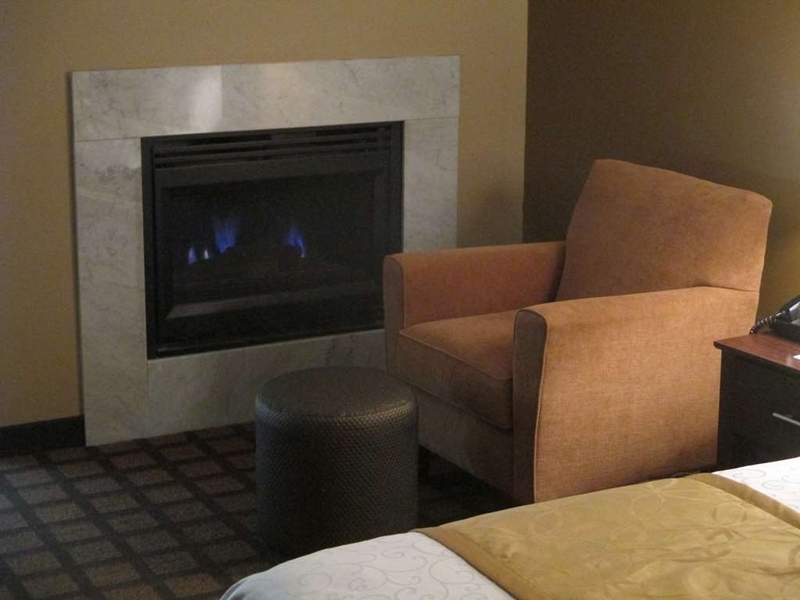 The fireplace in the room was a great addition and we used it both nights. The staff was very friendly and made sure we were happy with everything. I will definitely recommend this hotel to our friends. "Great Service and Pristine Rooms"
We had an extended stay at this hotel and it was excellent. The rooms were simple but very comfortable and pristine in cleanliness. The breakfast buffet was managed by one person that does an outstanding job of making sure that you get what you want for the meal. It was always hot and tasty. She really took outstanding care of us. Check in and out was simple and the staff purposely put us in a quiet and convenient room for our extended stay due to a family emergency. We felt like we were treated like family and felt very safe and happy at this property. A few minutes after I had checked out, the staff saw that I had left a sweater in a bag in the room. They contacted me immediately. This is over and above!! It was a great experience and we will be back!!! Thank you for taking such good care of us at this difficult time. "A hotel with no charm"
Adequate, I guess, but dull and dreary. No effort made to help guests enjoy their stay. Clean. Looks nice from the exterior. Hard to use HVAC. Pool is too small for laps; exercise room was hot and humid. "No lift, basic fixtures, but welcoming family"
We were doing a tour of Chicago and the Lake Michigan region. We had large, heavy cases and so I was surprised to find there was no lift to our 2nd floor room. We managed with difficulty, but if you have any mobility issues then request a ground floor room in advance. We stayed for two nights and our room was large and clean. It overlooked the car park and was very quiet at night. The bathroom fittings were a little old fashioned and from what I could see this is true of the hotel in general. However, there are a lot of positive points including a laundry, very spacious rooms, an in room TV with full range of satelite channels, free WiFi and a friendly, helpful family. The hotel is situated on the outskirts of Saugatuck and ideally you need a car or bikes to get to the main restaurants, bars and shops. It's about 3 minutes drive away to the town. Saugatuck is a lovely place to visit. There are fabulous walks across the sand dunes, quaint shops and great places to eat. I found the people to be very friendly and it's a good stopover if you are doing a tour. 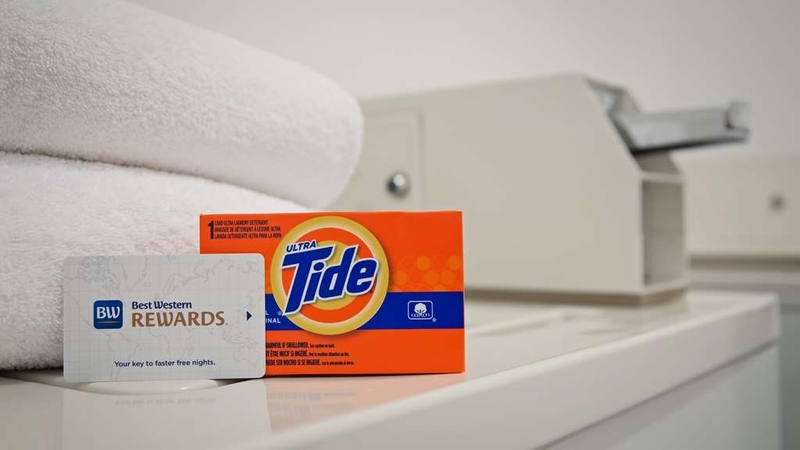 This hotel does not offer luxury, but it does offer clean, comfortable accommodation. "fireplace issues and luke warm breakfast food"
I am not one to normally feel disappointed about my hotel experiences, but this one was one of those times. I booked a room with a fireplace and when we first turned it on the odor of exhaust was very strong so we opened the window to help get some fresh air. it helped a little but we ended up just turning if off and forgetting about trying to enjoy the experience of a fire. then we were extremely disappointed that we were on the second floor and there is no elevator in the building that we could find. we walked up to both ends of the 2nd floor looking for one with no success. weird that the signs on the doors said to use the stairway and not the elevator in case of fire. that meant that us two 66 year old people had to care all of our luggage up a flight of stairs to our room, and back down the next morning. the breakfast bar was ok, but nothing special. the problem there was that the eggs and sausage patties were like warm and we had to heat them up in a microwave . unfortunately, the weather was rainy and when ever we entered the side entrance or main entrance, we had to try to beat the major dripping of water as you went inside or out. the room was nice and bedding comfortable, but not so much that I would book the room in the future when we return to this area. Friendly staff, convenient to town & highway, Breakfast good value, room clean, no problems checking in or out. They could use an outside light at the back of parking lot. Overall experience was favorable. "In need of attention "
The beds were fairly comfortable and the shower was clean. The hot tub was extra foamy, and could use a good scrub. The pool was freezing, but the manager was nice enough to turn up the heat. (Still cold.) The paint and general workmanship was poor in booth our room and the pool house. The location was close to downtown. The staff was extremely friendly willing to meet all of your needs. The room was very clean nice large bathroom good lighting. Internet easy to connect nice large TV screen. Checked in late comfortable bed and clean room. Pleasant staff that were helpful and nice. Great location with ease of getting to Saugatuck. Wish the weather had been better. A little off the beaten path. We were very impressed with the accommodations and the excellent service throughout our entire stay. The staff was friendly, very helpful, and courteous. 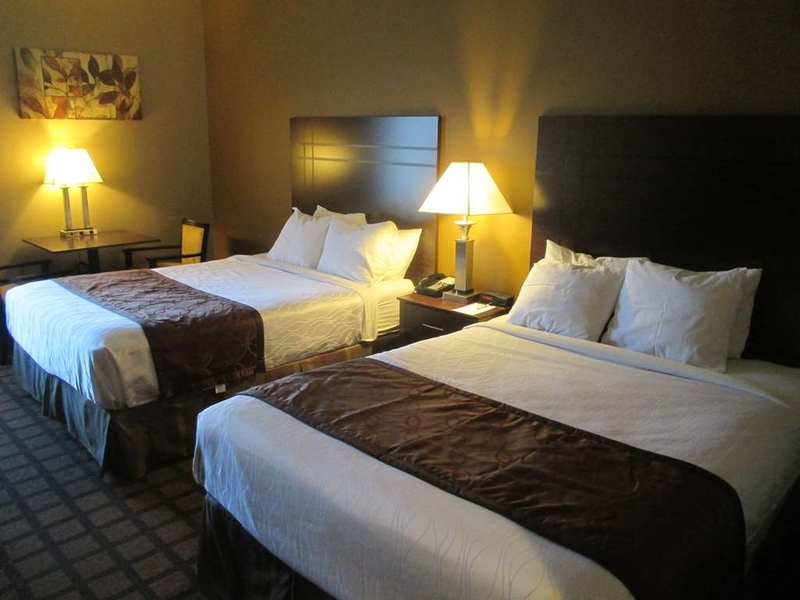 Our room was very clean, the bed comfortable, and the pool & whirlpool was very well maintained. We will definitely stay here again when we return to this area. This hotel is Very clean! The staff were awesome and Very very friendly!!! The food was delicious!! Many options to choose from! We will definitely be back! The city of Saugatuck was a beautiful quaint town, perfect for a weekend getaway! "Dirty, bugs, uncomfortable beds, disgusting coffee, water, and breakfast." The room was not clean; all surfaces were either dusty or caked with grime. Second night we found dead bugs in the bed sheets. Lobby coffee seemed to be water with brown coloring, no coffee taste. Water in room was slimy. Faucet in bathroom smelled like mold whenever water was run. Breakfast "eggs" were watery and did not seem to contain real eggs. "A wounderful stay in Saugatuck, MI!" Pankaj (manager) and Minu (maid) Patel were the friendliest couple we've ever met at a hotel. On numerous occasions both of them either approached my wife or I and asked if our stay there was pleasant and wanted to know if they could do anything for us. During breakfast Minu would go around each morning and check with each guest to see if everything was going well. While cleaning our room Minu noticed our A/C unit was noisy and wanted to know if it was bothering us at night. We mentioned it was OK. We were pleasantly surprised when we came back that the A/C unit was replaced when we were out of the room. Most definitely the warmest and friendliest hotel we ever stayed at, we would highly recommend this hotel to anyone! It's a basic hotel, but we found it very clean and well-maintained with pleasant and attentive staff. We enjoyed the heated indoor pool and the large hot-tub. Breakfast was standard unremarkable buffet. We stopped by and asked for a room and the service was so very satisfactory. We were asked several times by employees if they could be of help. The location was such that it was easily found. Outside appearance was inviting with easy access from the main highway. "Nice and quiet accommodations in great location, would stay there again." This was the first time my husband and I didn't stay in a private vacation rental of the cottage or condo variety. We decided to go the hotel route instead, and this Best Western hotel looked like a good affordable choice and I was proved right from the moment we arrived at the hotel and my husband said to me, "You did good!" It is on a quiet though main road in a lovely location just minutes from the cute downtown Saugatuck, the Saugatuck Dunes state park, Oval beach, and various other destinations on our agenda. So many hotels are right on top of an interstate by big box stores where you couldn't/wouldn't go on foot anywhere, but this place was on a very walkable road, if you wanted to walk or go for a run, it would be very safe and pleasant to do so. It's pleasant and peaceful surroundings. I should note that we were there mon. - thurs. in mid-Sept. so it was not peak season and was uncrowded everywhere we went. But we were hardly the only lodgers, and I even overheard a woman telling another person that they've been staying there every year for 12 yrs! If I hadn't seen people entering neighboring rooms I wouldn't have known there was anybody else staying there, it was so quiet and free of any disturbances whatsoever. Now a busy summer high season could be different, esp. with kids running around, but this is why we take September vacations. The proprietors (we only met Peter by name) were very friendly and accommodating, and I felt more like I was in an Inn. They provided a microwave upon my request, and the fridge that was already in the room was a good size, not a micro-fridge. Most importantly, our beds were extremely comfortable! I liked the feel of the bedding as well. And the room and bathroom were very clean and the a.c. worked well when we decided to use it. However, for a while we chose to enjoy some fresh air. The window had screens and we had it open for a while. Our view from our 2nd floor room was of woods and grasses. Very pleasant. Even sleeping with the windows open the first night I wasn't ever bothered by street noise. We took advantage of the free breakfast, and found it to be more than adequate, though not gourmet - wouldn't expect it to be. But in addition to scrambled eggs, meats, waffles, yogurts, fruit, various breads and pastries, and even freshly sliced watermelon one morning, I enjoyed some variety every morning of our stay. Good coffee. My only criticism would be that the hot tub got very foamy when we turned the jets on when we used it, so it needed some kind of attention. We did not use the pool but it looked nice and the whole area was very clean. And there isn't an elevator, but we knew that in advance. We are able-bodied, though, so while it took us more effort to schlep our stuff, it wasn't that bad. To sum up, we felt this was a comfortable and pleasant place, and good value. Comfortable rooms, which include a hot breakfast with easy proximity to Saugatuck and the Ravines Golf Course. We stayed here as one location on a couple's golf trip and were very pleased. We'd stay there again. Only three towels in the bathroom for guest. There were four of us. We had to go down to the desk and ask for more, got three more.They came in made the beds, and left three towels had to go to the desk and as for more.If the room is able to accommodate four quest why not FOUR TOWELS? "Stay here if everything else is booked." Very shabby hotel. The owners need to put some money into it. The The ONLY reason this hotel has guests is because Saugatuck is such a wonderful destination, and the supply of rooms is not enough to meet the demand. Otherwise, just based on the merits of the hotel, this place would be EMPTY. "Clean and Reasonably priced hotel room." Hot tub needed to be cleaned and heated to warmer temperature. Lobby hot and stuffy. Get to breakfast early to have some food to eat without waiting until more is cooked. Make sure you get more than one room card just incase one doesn't work properly. Lovely motel that is beautifully maintained. Staff at check in most helpful in telling us about area in response to our questions, gave us excellent booklet about Saugatuck/Douglas. Room large and well decorated with desk and outlets for computer. Internet works well. 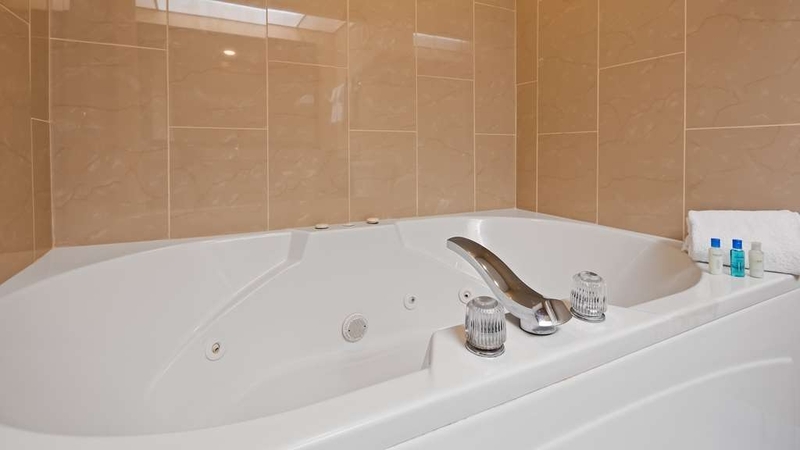 In general one has choice of a room with a fireplace or Jacuzzi. There is an indoor pool which we did not use. Jewel and Hiner Patel work very hard to keep this property clean and ready for guests. This is the best place to stay just outside expensive Saugatuck. We recommend this hotel for travelers who look for comfort, convenience with a price one can afford. Very nice place and friendly people. Room is clean, breakfast is always on time with pretty good selection of food. It's a pleasure to stay there. Thank you Dee, Peter, Hina. Hope to be there next year. Better price than other less consistent motels in the area. Great staff, super clean and comfortable property and rooms. Nice pool/spa area. Decent breakfast. Conveniently located near bike/walking path. Would stay again in a heartbeat. "Nice Quiet Hotel Near Saugatuck"
This is a nice little hotel only a few minutes from the tourist areas of Saugatuck. It's a quiet area with little traffic noise and congestion. A good value with clean rooms, but the breakfast offered is a little sparse. "Have been here several time"
Clean and friendly staff. Close to all Saugatuck attractions. Have stayed here 5 times and will be back 2 more times in 2018. Only down side is no elevator so if you cant carry bags upstairs be sure to request a first floor room. Pool is always clean , and breakfast was good! The room was clean and well-mantained, with a comfortable bed. Nice pool and hot tub. Good continental breakfast. Extremely friendly and helpful staff. Very close and convenient to downtown. A tad pricey, but it is located in a resort town during summer, so not surprising. Our room was fair, there is no elevator, the breakfast was also fair, however, we tried to enjoy the pool and there was guest in the pool fully dressed in street clothes, with open botters and cans of beer. This made our experience uncomfortable, to say the least.The loud and disruptive noise in the middle of the night was not enough, now we could not enjoy the pool area without being harassed by dunking guest. Checking out was awful, THE COOK HAD TO ALSO CHECK GUEST OUT. After contacting corporate office to ask for compensation for $330.00 wasted at one of their hotels, we were given the RUN A ROUND FOR OVER 2 MONTHS. DO NOT, I REPEAT, DO NOT WASTE YOUR HARD EARNED MONEY. Older facility, but fairly clean. Price seemed fair for area in peak tourist season. Breakfast was of reasonable quality and variety compared to similar hotels in this area. I liked the fireplace in the room. As others probably have mentioned, the hotel does not have an elevator (but is only two floors, and may have handicapped-accessible rooms on the first floor). This was no problem for us, but it might be for people who avoid stairs or are traveling with a lot of luggage. somewhat pricy, but with breakfast included made it okay! Need elevator for us seniors... Very close to downtown. Staff very helpful with where to go in town. Would had been nice if there was an outdoor pool during the summer!!!! "Great Food and good night sleep"
As a last minute decision to go here - this was the only place available at a reasonable rate - We took a couple with us and shared a room. We were all very delighted in that it looked like a new hotel - beautiful decorations. The beds were very comfortable. We all enjoyed the breakfast and was filled up every morning. The best part of it all was the coffee - it was very strong and tasty - the best way to start a vacation. We will go again. good hotel overall, considering the high prices at this resort town - just a little off the main streets. Room was comfy and decent for the price. Breakfast is quite limited, but available. Staff was nice and helpful. WIFI strong. Would stay abain. I probably wouldn't have been as disappointed in our stay if it wasn't for the price we paid - over $250/night. First off the room REEKED of cigarette smoke. Unfortunate, since all rooms are supposedly "smoke-free". We immediately opened the tiny little window in the room and tried airing it out, but the stench just wouldn't go away. It was nauseating. We had a room on the first floor, which seemed favorable since there was no elevator - only stairs to bring luggage up and down. However, the noise from the room above us kept us up late at night, and again early in the morning. I don't know what the guests above us were doing exactly, but it sounded like a stampede of some sort from 930pm-12am, and started up again at 6am, and sounded like our ceiling was going to cave in. During our stay we had some of the first chillier nights of the summer, and since we were trying to air out the horrific smell in the room, we kept the window open all night and ended up very cold - the blankets are super thin and scratchy. We used the blankets from both queen beds in the room to try and keep warm. Terrible. Just terrible all around. Definitely not worth the ridiculous amount we paid. Take your money elsewhere. Stopped here for one night. On a road trip from the UK and really pleased that this hotel had self service laundry facilities we could use. Much cheaper option that going shopping for more clothes for the five of us! Breakfast was OK but maybe more staff required during this busy time - helpful lady was running reception, answering phone calls and restocking breakfast all at the same time. Kids loved using the pool, but they love anywhere they get to swim. This stay was fantastic. This hotel stay was our honeymoon. The location gave great access to many attractions. Service attendants were great along with food, parking, room and amenities. We want to stay here again & again! "good accommodations in a lovely beach town." This hotel was good for families. If I was just staying in town without teenage boys they have some nice B&B's and smaller motels but with teenage boys this fit the bill. Good size room with two beds and sofa bed. No elevator to second floor so you do have to make a couple trips. Breakfast was good and they do a good job keeping it stocked. Everyone we encountered was helpful and friendly. We didn't use the pool but it looked ok.
My husband and I stayed one night on a recent trip to Saugatuck. The double queen room was quite adequate, equipped with table and two chairs, fridge, microwave, coffeemaker and the flat screen TV was a good size for a hotel room and it had HD reception. The bed and pillows were comfortable. Ice and vending machines just a short walk down the hall. The morning breakfast was ok-- fine for our purposes. They had a hard time keeping up during the peak breakfast time. It would have been nice to have had some outdoor seating areas other than the benches located outside of the front and side doors, apparently put there for smokers. Did not use the indoor pool or workout room. We prefer to stay at something a little more upscale, but chose this hotel because of only staying one night, its location, and the fact that it is part of a decent chain. I wish there was a rating between average and very good. Under similar circumstances would probably stay here again. Wasn't really expecting much from hotel. Rarely stay at best western's. Made this choice for overnight after visiting michigan adventure r/t the 24 hr pool for the kids, and plans for oval beach/Saugatuck the next day. Wow, I was impressed! Nice pool are, with beach balls and large towels. Nice big hot tub. Bonus- the outdoor oasis with hammocks, pretty lights, and old school music overhead. Room was clean and spacious. Loved the first floor park in front of room entrance capability. The breakfast was plentiful and filling! Every employee I came across was helpful and polite! I would NOT hesitate to stay again! The Best Western Plaza Hotel is a little dated. No elevator to the second floor rooms. Hotel smelled a bit musty or damp. Room was clean but water in shower seemed like softener was not set right. Breakfast buffet were 6:30 am to 9:30 am. Not sure that is a good timeframe for a vacation location. Most people are not going to get breakfast that early. When I went down for breakfast at 9:00 am, it was crowded and not enough seating for everyone. I would recommend adjusting the breakfast hours. Girls' get-away trip. We had a clean and comfy room. This hotel is not far from activities in lovely Saugatuck. They have delicious offerings at breakfast. They have a very helpful staff. Would return. Get written proof if you call direct and book with a AAA rate. Difference of $30 a night and the arrogant manager would not honor us. His reply "Do you have proof? No? Oh well". Lesson learned here to get proof, but the attitude of the manager here will make us book elsewhere in the future. Very dishonest. The Hotel staff were friendly and went out of their way to ask us about our stay when in passing. What can they do to assist and when asked for additional items, they quickly responded. Due to extra amount of luggage, they quickly changed our room from the second floor to the first floor which made it convenient for us on check in and check out. The location was great when visiting Oval beach and the Saugatuck which is one of its ideal for making reservations using their service. "Clean Hotel, Friendly Staff, Close to Saugatuck"
Overall had a very pleasant experience/stay at this hotel. Staff was very friendly, hotel is in a pretty quiet area, hotel is very close to Downtown Saugatuck and Douglas (Less than 2 miles for both). Breakfast was good. Everything (interior, exterior, room) appeared top be very clean! Would stay here again if I'm in the area! "Top of the line economy hotel in resort area"
Hospitality, hospitality, hospitality. Whatever you need, they will try to obtain it for you. Friendly, very clean, and the only two negatives were: non-automatic front door (little tough with lots of luggage) and water-saver shower (better get used to it). Small pool, gym, all sufficient for a small hotel. But the people and service made up for anything else. Always clean, quiet, and accommodating. We stayed here July 6th and loved everything about this hotel. The price was excellent for Saugatuck area. Room was very clean and lovely. Had a full breakfast eggs,bacon, biscuits and gravy fresh fruit etc. You don't see this in motels anymore,so was very impressed. There is a hot tub and indoor pool. 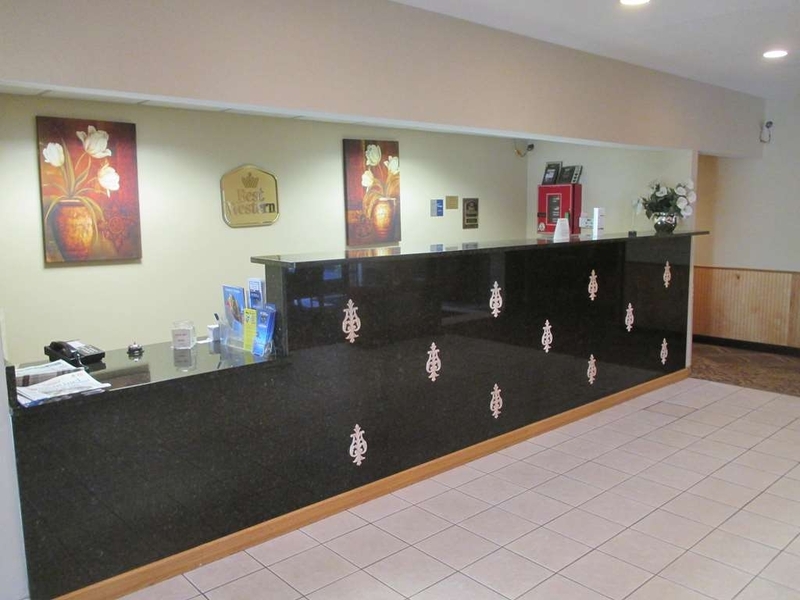 This hotel is located right on Blue Star Highway and within 1-2 miles of everything you need. Complementary Breakfast we decent. Rooms are not the greatest comfort and with an average rate of $233/night, I expected much more comfort. It is a convenient location and in a city that has a ton of bed and breakfasts, hotels are slim pickings for people with small children. Overall we were satisfied with our stay! We came to Saugatuck for a family vacation. We were very pleased with this hotel. It was very clean and comfortable. The staff was extremely helpful and friendly. Would definitely stay again. Wonderful stay. We always stay at this motel when visiting Saugatuck. The owners are very courteous and accommodating, we highly recommend it. Rooms are very clean, excellent breakfast and easy access to surrounding attractions. "Good value and comfortable place for a family trip"
The hotel was clean, quiet, and convenient - what you usually get with Best Western. It was a short drive from the town center (5 minutes drive), with a good size indoor pool and Jacuzzi, laundry facility, and basic breakfast (included) to get you going. 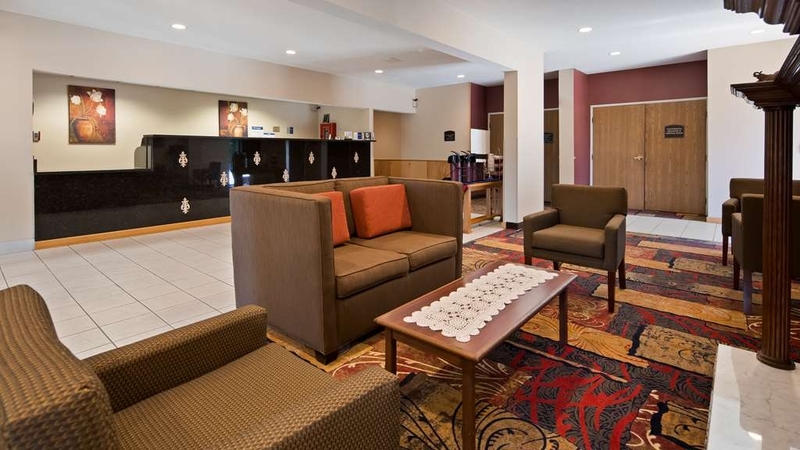 Comfortable, large rooms with refrigerators and coffee makers. Had a last minute trip to see my ill parents Memorial Day weekend, and leaving Chicago at 6pm, I called the Best Western in Saugatuck to see if they had any open rooms. Their website showed 1 King bed with a fireplace for $170.00. The manager Peter said he would hold the room, as we were arriving after midnight. After a long day of work and 4 hr car ride we arrived to the hotel and Pete the manager handed me the booking and it said $227.00. I questioned the rate because $170 to $227 was a lot. He said that is the total with the taxes. We turned on the fireplace and the room filled with gas. My boyfriend turned it off, opened the window and doors to air out the room. I called the front desk, no other rooms to move to and no one to repair the fireplace. We fell asleep at 2:00 am hoping more gas would not leak. Upon checkout the next morning, I asked Peter for reduction in the rate due to the gas, he said "Sorry, no can do." This is an unacceptable answer given the serious defect of the room. A week later, I get charged $245.00 for our stay. I call Pete the owner he said that the rate WENT UP at MIDNIGHT and the $170.00 fare was now $227.00. The rate for this room is now $130.00. I will never stay here again and from the many reviews looks like he has overcharged many other unsuspecting guests. This was our 3rd trip to this hotel within a few years each visiting Saugatuck. Excellent stay as always. Clean rooms, clean hotel. the staff makes you feel so welcome. Always a smile on their face and very helpful and friendly. Excellent breakfast bar - they had everything you could want. Very impressed! "Over priced for the quality"
$180/per night is quite high for a Best Western. Breakfast was just "ok" nothing special. Wi fi acceptable service. Location farther away from all the things you wish to see, so it is a "must drive" rather than a walk to the town and it's happenings. The staff was nice, bed was very comfortable, pool area nice, in-room whirlpool good, but I preceded to find multiple spiders in the morning. One even on the bathroom sink under a wash cloth. Could be because it's summer time and spiders are everywhere, or it could be that the staff isn't cleaning very well. Overall, the spiders grossed me out and we probably won't stay again. "Great customer service, building needs new carpet." The décor and furniture needed some updating but the bathroom was in good condition and clean. Great customer service same individual helped us the afternoon we arrived and was getting breakfast ready the next morning. A good size room, comfortable, up to date hotel room. Microwave would be nice to have. Has a refrigerator. You can't complain on this stay. Hotel is in a good location and convenient to everything. A good breakfast overall. Loved the bacon and scrambled eggs. "Two story hotel, NO ELEVATOR"
NO Elevator....guests staying on top floor had issues getting up/down stairs. Appears ADA requirements are not being met. Breakfast room was overflowing and food was scarce....hostess only brought out exactly what was requested...2 eggs, 2 yogurts, etc.....no replenishing! Seating was a HUGE issue....guests were sitting in lobby, standing at counter in lobby....poorly run operation for $150 a night! Also, hot tub had foamy scum on top......didn't look or smell clean....yucky! "Tulip Time Festival - 2017"
Hotel was okay...microwave and small fridge in room and small coffee pot. The continental breakfast was pretty good, area rather small so it's pretty crowded in there. Staff had hard time keeping up with demand but food was hot and nice to have. The front desk person must definitely more friendly. He never looked at our faces, spoke very quickly and we had to have him repeat what he was saying a few times. He seemed not interested in any new hotel guests which is not the way to get a good first impression. Overall it was an okay place to spend night even though the rates where rather high but we are guessing due to the Festival. It does need some updating as well. Received free upgraded quiet room on second floor overlooking woods. Bathroom grout by tub needs attention; it is moldy. Bathroom door out of alignment; would not stay open. Room was clean and a good value for the price we paid. We have stayed there before and would stay again for the right price. "Not as clean as I would like"
Overall hotel didn't seem really clean and the pool was freezing. Wash clothes provided in bathroom had makeup stains on them. I would stay there again if I didn't have any other options but I would not recommend this hotel. "Nice friendly hotel that needs an up grade"
Stayed here on May 11. Staff was extremely friendly and helpful. Room was clean but in need of some upgrades as well as the rest of the building. The breakfast was fine and well attended to. The location is very close to Saugatuck, which is ideal. If they update this hotel it will be top notch. "Poorly staffed and overpriced. " As a diamond select memberI have sleep at many BW's. When I checked in there was just the basic hello and name. After giving my BW card, there wasn't even a thank you for being a rewards member. The room is painted dark which can be good for sleeping. The breakfast was messy and lacked food. The woman in charge brought out small amounts of food at a time as to avoid having leftovers. The bacon was blackened, only works for fish in my book. The desk was usually not occupied with a ring bell sign. We were going to use the hot tub in the pool area but the foam topping did not look appealing. The check out was a slip of paper under the door. No one staffed the desk at checkout. I believe since we went at Holland tulip festival that the prices were jacked up for it. $330 for two nights at a 2 star hotel is expensive. In the future i will try to avoid this BW. On a positive note it was clean. Also they did not adhere to there own policies. I wanted to bring my dog but they have a no pet policy posted on line and at the desk. I saw many dogs allowed in the building and dog poop on one of the walkways. I asked one of the dog owners about this and wad told the manager allows it. As a last note, when we arrived we were told that the back door was nonfunctional and needed to walk with our luggage through the hotel. We parked close to the room and found out the door did work. Not again. The hotel was over priced and could use some updating. For those who have special needs or a lot of Luggage like I did, I don't think they have an elevator. At least I wasn't able to find one nor was I directed to it so I had make a couple trips and haul everything up the stairs myself. "Unnecessary problem, after problem, after problem"
We arrived at the Saugatuck Michigan Best Western, 3457 Blue Star Highway, 05/04/2017 and the gentleman at the desk assigned us room 109. We were unpacked and situated before we noticed the large hole in the cadenza, where the refrigerator should have been. The same gentleman at the desk said that since the refrigerator vibrated noisily they had removed it: he did offer to move us to another room, but after six hours driving through the rain we were tired and declined. Sitting on the toilet was quite an adventure as it is not bolted to the floor: apparently is just sits on the pipe/collar and wobbles unnervingly whenever you shift your weight. Breakfast the morning of 05/05/2017 was satisfactory, however the same food was still there for us the next morning... not the same kind of food... the same food was still there a day later, 05/06/17. There was no bacon because I had eaten the last of the bacon yesterday and the sausage patties were exactly as I had left them. When I said to the same gentleman, who was now working in the dining area, that the food was from yesterday, he did not respond, but he started refreshing everything. While it was still yesterday's food and before the same gentleman was able to refresh everything, I began to make a waffle. The 2:30 countdown timer on the waffle machine did not work, so that same gentlemen told me to just check it every so often. After a minute or two that same gentleman opened the machine and touched my waffle with his bare hand. Unbelievable. (It would be interesting to know of any of the employees in this hotel are in America legally. They all wear baseball caps, dark/dirty clothes, and English is not their language of choice.) When we returned to the hotel that afternoon we found a refrigerator had been placed in the cadenza, but the unit did not work. These folks are just special! Now here's the topper: We were charged almost double for the second day because of a Festival taking place 20 miles away. The first day was barely acceptable but the day they charged us nearly double wasn't worth even half. Not once, during our stay, did we see anyone "in charge" although I twice asked. Please be advised that this Best Western is not worthy of the name "Best" and seems to be operating without management oversight. My husband and I frequently travel on business all over the United States and we want a comfortable place to sleep. This hotel was fantastic. Our room had a fireplace and comfortable bed. The shower was good. My sisters and I usually choose small boutique hotels and B & Bs but this was a spontaneous trip and our choices were limited. We were very pleased with the Best Western Plaza. Very clean, quiet and comfortable. We stayed with our 3 children and the staff was very friendly and helpful. The kids loved that the pool was open until 1130pm. Everything was clean although the hallways did smell like chlorine (the room did not, though). The room was spacious and I was surprised we got so much for the low price we paid. Beds/pillows were comfortable but our family didn't sleep great. We are used to our own space but that's no fault of The hotels. The breakfast was great, lots to choose and my kids enjoyed that they could have whatever smorgasbord they wanted. My middle child (9yr) is still raving about the orange juice even 3 days after we've been home. Close proximity to Saugatuck and area attractions. Would stay again! Weekend getaway for two adults. We opted for a king room with a fireplace. Nice decor, very clean, and the fp was a wonderful touch. Staff was friendly, beds were excellent, and the location was ideal. Will stay here again on our next trip up! Nice building, cheap, stingy staff trying to cut corners at every turn. Towels weren't soft, breakfast put completely away 15 minutes before the posted time. Will try to upcharge you when you check in. Staff made it very uncomfortable. Will not return to this hotel if in the area again. The Best Western was a very nice place to stay. I visited while in town with the Michigan Cares for Tourism group. Everything was great!! Front desk staff was very warm and welcoming and the continital breakfast was a nice bonus.The room was very clean and up to date. My only suggestion would be to get elevators, we were very surprised that there was none! We were very impressed by this motel! The highlight was the way that the staff went out of their way to make our stay very comfortable. They were curteous and checked to see that we were comfortable and satisfied many times. For example, a family member who was in a wheelchair was asked if she needed assistance and if she was happy with the serve yourself continental breakfast. (The items and utensils were replenished many times). When we went to the hot tub we were asked if the water temperature was the way we liked it. That staff member checked on us frequently. The staff at the front desk were also extremely friendly and made every effort to make our stay comfortable and pleasant. During our stay we began to realize that the staff was exemplary. The room that we stayed in was clean and comfortable. 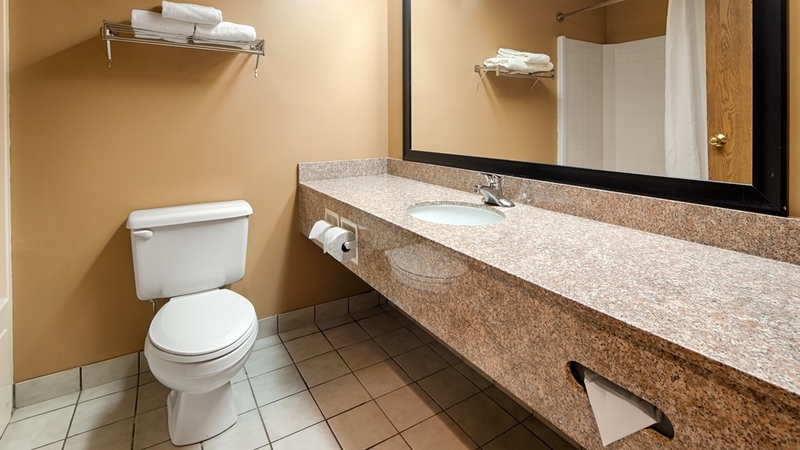 The motel is very convenient to both downtown Saugatuck and Douglas and all of the attractions. While it's on a highway there are numerous trees around the motel which makes it pretty. The rate is a bargain especially considering all that you get. "Good place to stay for value and service"
Got a good rate for three nights plus a free generous breakfast each morning. Beds and pillows were more than comfortable. I brought my own pillow but didn't need it. Room decor was nice and the room was comfortable. Internet service worked fine. Quiet room. Prompt and thorough housekeeping each day. Helpful and courteous staff. Good security and ample parking near the hotel. I had to go to Douglas, MI for business. Your hotel was very accommodating and comfortable. The rooms were clean, the breakfast was timely and delicious, the staff was helpful and polite. I used the pool and jacuzzi. It was a very pleasant experience. Clean. For $125/night, not exceptional. Everything was average. We stayed at a Hyatt the next night in a beautiful, new, luxurious hotel for $85/night, which made the Best Western even more average. Hotels around Saugatuck were pricey, even in the off-season of October. "Super soft pillow cases & very comfy beds but crowded, small breakfast area that ran out of food"
The staff was friendly but extremely slow. The check-in process when using a BW gift card should not take 20 minutes. This should be an easy thing to do, as it has been during our last BW stays without any delay. Additionally, I had to explain 5 times to an older gentleman that I needed to get my food out of the freezer in the laundry room. People in the service industry must speak a higher standard of English, at the very least, they should understand it. Also, we have stayed at more than a dozen BW in the last several months and have never been asked to pay another $25 or more to take advantage of the available complimentary upgrade (if it is available) for a platinum member. We did not receive the upgrade despite there having been plenty of rooms available. We decided not to pay the extra money to get the "complimentary" upgrade. The breakfast area was small and crowded and certain foods ran out during the breakfast period. It is a convenient location to downtown Saugatuk and the water. "Its Okay for the money"
It could be cleaner, there was broken tiles in the bathroom and mold along the bottom of tub. The beds sleep good and breakfast was good. Nice quiet location. A little ways from town but that was okay for us. "Great stay for a great cause"
We were in town for the renovations of the grounds around the Saugatuck Felt Mansion and stayed at the Best Western Plaza Hotel. Rooms were very clean, check in went smooth, and continental breakfast was more than expected. The Best Western team made us feel very welcome and appreciative of our business. Personnel are friendly and attentive to any issues, they accommodated our request for adjoining rooms which made it very nice. The breakfasts had a variety of fresh fruit, eggs, cereals, etc. everything was clean and refreshed frequently. The rooms were a decent size and clean, with firm beds. The rooms were quiet at night. The hotel is about two miles from downtown Saugatuck. No elevator but the stairs were not difficult but you should ask for first floor if that is of concern. I would definitely stay here again. Decent hotel. Strangely, has a second floor but no elevators. Friendly, hard-working staff. Good breakfast. The pool is clean. Not much in the immediate area. Bring your bike; it's a short ride to downtown Saugatuck. Our family visited the Best Western for a brief visit to the Saugatuck area. 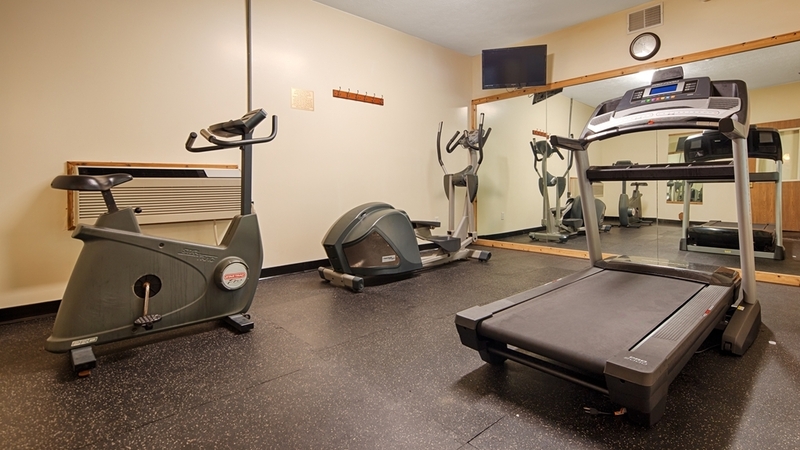 The hotel is conveniently located to all activities in the area. Our check in was easy and the front desk staff were very pleasant. Our room was neat and clean. The hotel was not noisy. The indoor pool/workout area was very relaxing. The complimentary breakfast was fantastic and plentiful. Overall, this hotel was nice comfortable place to stay and a good value. Check-in was prompt, room was clean and tidy and comfortable, breakfast was great. We chose scrambled eggs, bacon, sausage, rolls and muffins, juice, coffee, and bananas. We would stay here again, it provided easy access to Saugatuck. "Great place with friendly staff"
We enjoyed our stay. 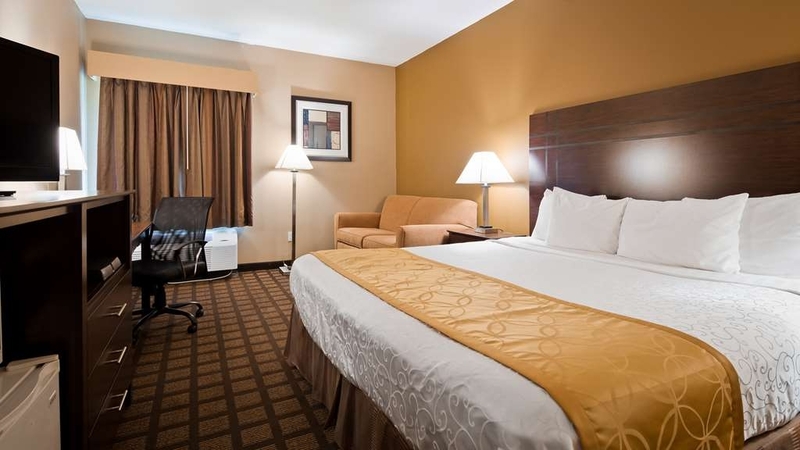 Comfortable, clean, and affordable rooms with comfy beds! The staff was friendly, knowledgeable, and fast wirh both check ins and at check it. The breakfast was hot ready and excellent! Will stay here everytime i come to town. I get weary of staying at BW hotels because of a poor experience but this place was great. Very nice and super friendly staff. Room was very comfortable and had great pillows. We had 2 nights of great rest and we would definitely stay here again. The only thing that wasn't that great was the breakfast but we didn't expect much in the first place. I do not know how this could be rated the #2 hotel in Saugatuck. The place is dark and musty and very over priced. We paid $289 for a "suite" which merely consisted of a regular room having a small couch rather than a chair. The hotel seems like it has not been updated in 20-25 years. We were scheduled to stay for two nights but left after one night because we could not stand the place. We went over to the Hotel Saugatuck for the same price and rented a new cottage with fresh surroundings and clean furniture, a fireplace, rainforest shower and bathtub for two . . . Plus the Hotel Saugatuck is within walking distance of downtown which is a big plus considering parking in Saugatuck can be difficult. "Cockroaches, broken smoke detector and unsafe food service practices . . ."
We had cockroaches visible on the TV entertainment center within 5 minutes of checking in. We were offered a refund but being late on a Friday night during a busy tourist season, it was impossible to find a vacant room in the area, and driving over 200 miles back home was not an option. We switched rooms and within 12 hours had more cockroaches in the new room. In addition, our smoke detector/carbon monoxide detector started chirping in the wee hours of the morning, which we understand can happen but it disrupted our sleep. Thirdly, the front desk staff was observed on two different mornings walking from behind the desk after helping a customer, to the food service area, and without washing their hands or wearing gloves before handling food. I am a public health employee and a nurse, and nothing I experienced at this hotel would pass a health inspection. I have stayed with Best Western all over the United States and have always been pleased. This experience changed my mind and will make me re-think my future reservations. "Good place to spend night"
Convenient Location, wanted to stay at standard hotel due to infant. Clean facility. Friendly Staff. They allowed us to check out late however this is bit expensive than holland best Western. will go back for sure. There was black hair on the shower wall, I am blonde. There was urine stains on the seat and the base of the toilet, stains on the door jamb, no tissue in the dispenser, popsicle melted in the freezer, room needed to be dusted, and dirty water in plastic container under the air conditioner. We called the front desk and asked to be moved to another room, they said they would send someone to clean the room. We were ok with that. Housekeeping came and did not wait for me to open the door, used her pass key and just came in, I was changing at the time. She broke the chain that was hooked, which obviously did not work anyway. She brought a dry washcloth to clean with. She was going to send someone up to fix the chain, so we waited and no one came up. We missed our dinner reservations and chain was never fixed. We checked out and spent the night at Captains Quarters about a 1/2 mile away, clean and efficient. "Happy guests, enjoying staying at this hotel!" This is our second year at Best Western here in Saugatuck and we just loved it! Our kids love to swim in swimming pool and enjoy Jacuzzi as well. Breakfast offers lot of different choices including our favorite Belgian Waffle, breakfast sausage, bacon, eggs, are fresh made; oatmeal, fruit yogurt, muffins, bagels, cinnamon rolls, juices, watermelon, bananas, apples, cereals, almonds, nuts, m&m. In addition, coffee is available all day long. Also, I am very thankful for computer/printer availability to complete my business sale. 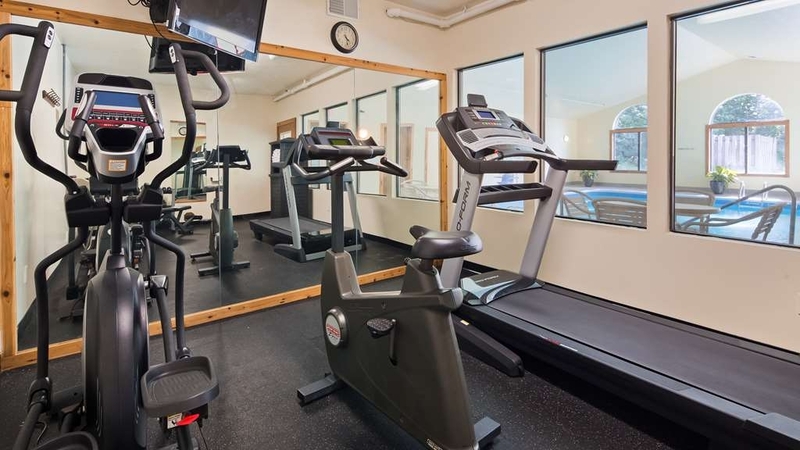 We used small gym regularly which includes stationary bike, treadmill, elliptical machine and rack with variety of dumbbells while watching TV. Staff is very helpful and friendly. We are looking forward next year to spend our vacation at BW Saugatuck, Michigan. Definitely recommend it! We had a really positive experience when we booked a Best Western in Tennessee, which is why we took a chance at this place. A few things this hotel has going for it: courteous staff, convenient to the beach and downtown Saugatuck & Douglas. This is a difficult review to write because I know the staff was constantly asking how our stay was, but frankly I didn't have the heart to tell them that the property was just unclean to me. On the macro level, the paint job in the hallways looked like several (unsuccessful) attempts were made to get it right, there was shoddy workmanship on the bead board trim in the hallways (where clothing or beach towels could easily snag on exposed nails walking by), and our "safety chain" on the interior of our room door was not secure and looked like it had been put in with a very short (1/2"?) screw that I could twist with my fingers. Our TV had fingerprints on it, and the TV stand was dirty. When I exited the shower on our first night, I saw that someone had written all over the mirror, which means that housekeeping doesn't wash the mirror at all between guests? The garbage cans in the room where thrown in haphazardly, and the luggage rack/stand was not meant for bags more than 10-15 pounds I don't think? My son wanted to be in the pool, which was fine, but it had clearly been over chlorinated, so we didn't stay long. Also, there was a pill bug that crawled in front of my shoe on the pool deck and that was enough for me. Breakfast was okay, but warm foods (eggs, sausage/bacon) were barely that. We stayed for 2 nights because 1) we didn't arrive until late on Sunday, and 2) we were only going to spend our time sleeping there and wasn't worth the hassle to move. Really disappointing after our stay at a BW in Knoxville, but I'm assuming these are franchise-owned and not much can be done? "Just right for sleeping after a full day"
Nice place to stay while visiting Saugatuck, Michigan. Close enough to get to everything and very comfortable to come back to after a day of shopping activities, sight seeing, etc.. Breakfast was good but don't get there too late as seating is limited. Me, my wife and adult son stayed in the king suite for three nights. Me and my wife's room had one separate room with a king size bed, a jacuzzi, tv, and a door that shuts but doesn't lock. But the door automatically closes after walking in it. The other room my son slept in had a queen size bed and a couch that can pull out into another bed. It also had a tv. There's also a little kitchen with a sink, mini fridge, microwave. The bathroom was good with two rolls of toilet paper on fixtures and a shower. This suite can easily hold four adults. We were satisfied with having a large enough room for comfort and privacy. The hotel is about a 10 min drive to Oval Beach and 5 minute drive to downtown Saugatuck. It's very well run and Peter and the staff were nice and helpful. We were happy with the free breakfast. It had hot oatmeal, yogurt, cereals, hard boiled eggs, scrambled eggs, bacon, sausage, waffles, peanut butter, honey, jelly, breads, pastries, milk, coffee. One day it rained and we came back to the hotel from Oval Beach and spent a few hours in the pool area. The hot tub in the pool area was a treat as the water was very hot and had surprisingly strong water jets that go into your back. This relaxed me tremendously as the water jets seemed much stronger than the ones at LA Fitness. I also took a dip in the pool and it was refreshing. 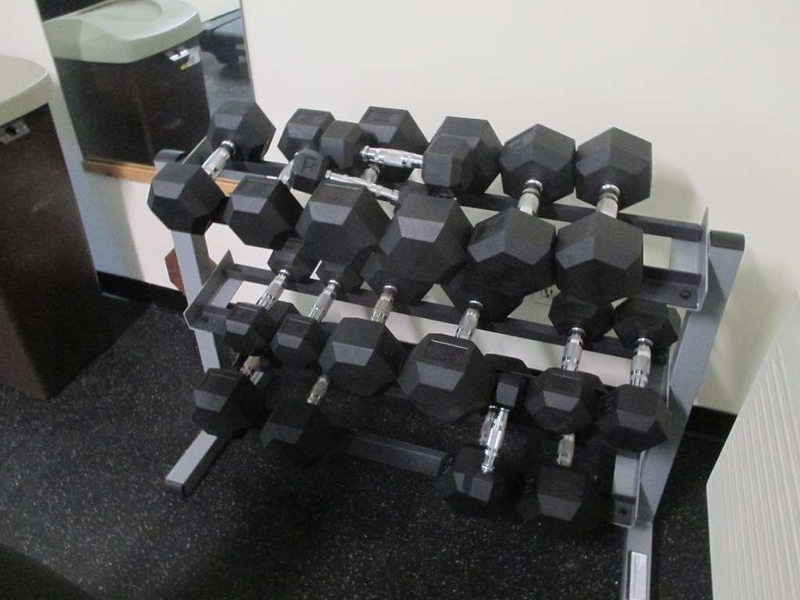 There's also a workout room next to the pool area that has dumbbells on a rack, a treadmill and other cardio stuff. There was also a tv in the workout room. The only complaint I could think of was the hotel is hard to see from the Blue Star Highway as the Best Western sign is small and sits on the ground and does not go near far enough out on the highway where people can easily identify the hotel. It kind of sits back on the property. I almost passed it a few times coming back to the hotel from downtown Saugatuck and from Oval Beach. I would definitely stay here again. 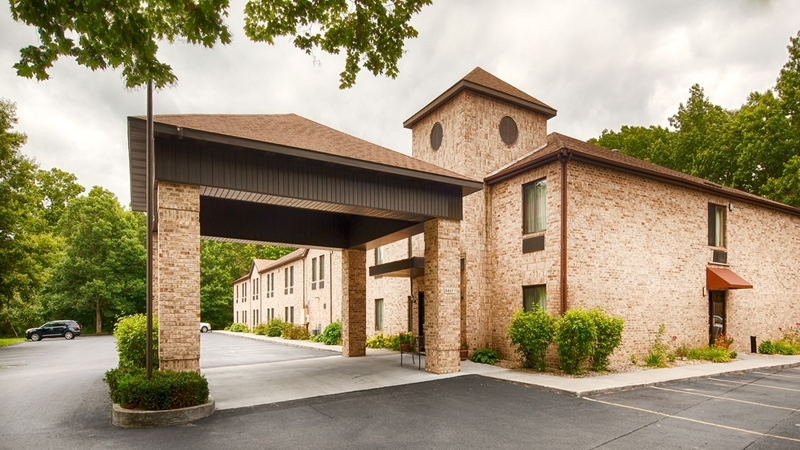 "Nice quiet gem outside Saugatuck"
This hotel is quiet, clean and right outside Saugatuck. The staff goes out of their way to help. Breakfast is hot and quite extensive. Saugatuck is a nice little port city. Will definitely recommend it! We stayed at the Best Western in Saugatuck it is centrally located to shops, restaurants, Kalamazoo river. And a short run to Holland another nice area to visit. Family run hotel very friendly staff, clean rooms and a large variety of foods for breakfast. Only down side was the pool it was small and lighting was dark. Overall a good place to stay. I've been to a few Best Western's and this is one of the better ones. It's no frills, and provides a nice base for your day trips to the beach or downtown Saugatuck. The room was comfortable and seems to be maintained well. The breakfast and coffee in the morning was a nice touch. Hotel looked newly painted and decorated, bathrooms were also updated. Room was clean, quiet, comfortable. Staff were very patient and helpful, including housekeeping. Housekeeping was excellent! The outer appearance of the hotel is beautiful. Great hotel in Saugatuck! Staff is super friendly and helpful, rooms are clean and breakfast is good. Great location to all the attractions in town and in Holland. Would definitely stay here again and recommend it. A weekend away with good friends. Beautiful weather, great food. The hotel was very clean and the room was comfortable. We shopped, ate and shopped more. There are lovely shops with great styles and more than enough choices. Take a drive enjoy the hotel and this lovely town. The hotel was very clean, very family oriented with the pool. Courteous staff, nice hot, continental breakfast buffet. 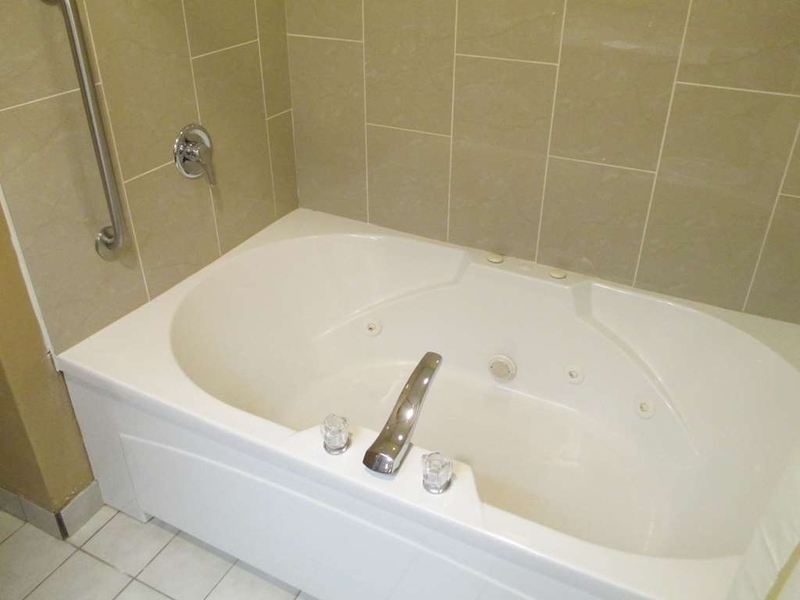 We had a king room with Jacuzzi tub, and the bed was comfortable, the tub was pretty new. I would stay there again. "Adequate. Very friendly staff. Very pricy for what it is." Kinda pricy but I guess if you want to stay in or around Saugatuck in the summer months, you've got to be prepared to pay for it. We booked pretty last minute this trip and our usual favorite accommodations were unavailable. This hotel is outside of town on the Blue Star Highway, just west of I-96. It's healthy walking distance to town but if you have bicycles, it's a nice ride and the Interurban shuttle will be happy to pick you up and drop you off if you'd rather not drive around the area. The weekend fee was over $200/night plus tax in July and that got us a bed and the usual hotel style breakfast. I think we may have paid a bit of a premium because of our late booking. Sadly, it's still a roadside hotel with minimal perks in spite of the price. The pillows are uniformly lumpy and the walls are extremely thin. Fortunately, the clientele were not of the raucous variety but even quiet talking and a low volume TV were still very audible from the next room. I'm glad I brought my earplugs! All the staff was really nice and I think if you need shampoo for more than one person, they'd be happy to provide you with another wee bottle. The room has a nice sized fridge that is great for left-overs, lunch stuff and drinks. One morning we arrived at breakfast right before the closing time and were impressed to find that it looked as well stocked as it did the previous morning when we arrived earlier. And we had a delightful surprise of fresh Michigan cherries in addition to the usual watermelon, apple, and banana selection. I usually stay in a bed and breakfast or airbnb and will continue to do so but the Best Western was a reasonable alternative when everything else was fully booked. 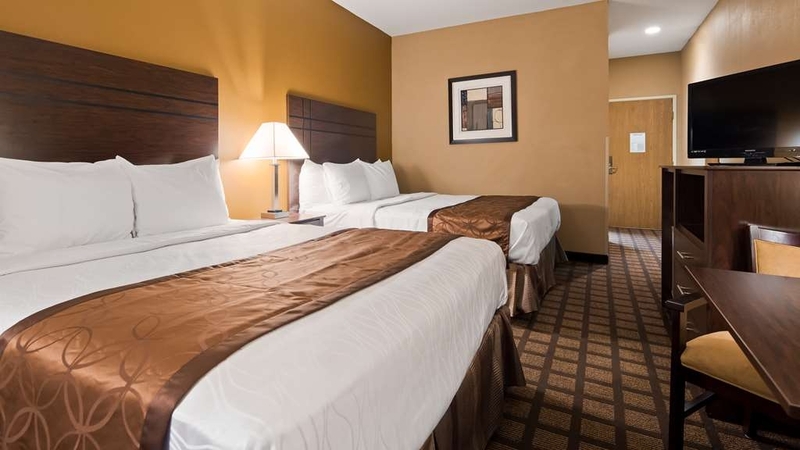 Considering the prime location of this Best Western and the rate that is charged, reviews would probably improve greatly if a few updates were made to the rooms – better mattresses and pillows and thicker towels would be a great start. 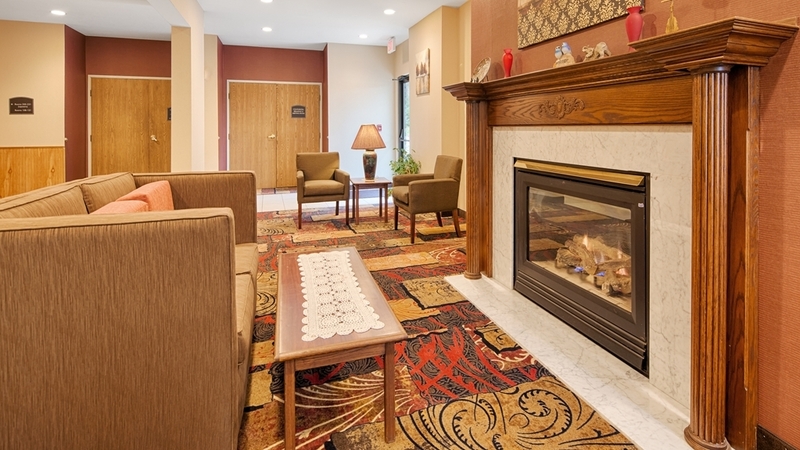 "best western hotel saugatuck, michigan"
We just stayed last weekend and it was wonderful! The beds were comfortable, the entire hotel and grounds were nicely maintained. The breakfast was very good and even though it was a fully booked weekend they did not run out of items and brought out fresh things when asked for even with only 10 minutes remaining to serve. The managers were very nice and friendly in a genuine way. I believe this is family owned and ran hotel and that makes a difference because they try harder than the "big boys." It was clean,nice beds and TV and close to all the parks and attractions.The Grounds very well kept.could use larger sign /lights by road to see at night.Overall good value for the money.Would stay here again. I tend not to stay at Best Western hotels because I do not like the quality. On this occasion I couldn't find anything else available, so I had no choice. Location is good, just 5 minutes away from downtown Saugatuck by car. Breakfast is included and is decent: cereals, a few fruits, toasts, bagels and a few hot items like waffles, eggs and bacon. The carpet in our room did not smell well, so that was unpleasant. Rest of the room was clean. Room had a refrigerator and a good size TV. Room had not been updated in a while. Hotel has a small swimming pool open until 11pm. Good alternative for kids when the weather is kind of cold. Most of the accommodations in Saugatuck are B&B, with rooms having only one bed and kind of expensive. So if you are coming with a family you need a more affordable option. This is one of the few full size hotels in the area and it could become the hotel of choice for many if it was somewhat renovated (i.e., carpets changed, furniture updated). Then again, maybe this is Best Western quality after all. "nice clean and great food"
Hotel is satisfactory and well maintained. It's just overpriced. Probably worth about $80 at most and not $140. Fairly good location as you're a couple of miles from Saugatuck and Douglas. Beaches are a little further. "OK for one night maybe"
Booked 2 rooms online traveling with daughter and her husbathing nd and toddler. First negative: no elevator and our rooms were on 2nd floor. Second negative: sheets did not cover the double bed mattress and while trying to tuck ours in, I discovered a very large, dark stain on the side of boxsprings that made us wonder if someone had been murdered in it. Minimally clean. The fire alarm battery was screaming and it took more than an hour for the manager to come up, turn it off and change battery. I had the feeling the poor man was a one-man show, trying to do too much himself. All furnishings tired and worn. Would not stay there again. This was a very nice, very clean place to stay. The pool was in clean and excellent shape. The breakfast was better than expected. We have a one year old who still likes his whole milk warm so it was nice to have a mini fridge and microwave in our room. I spent two nights at the Best Western Plaza Hotel in Saugatuck, MI. The room was clean and adequate. The staff were pleasant and helpful. The free breakfast offered more variety than most hotels. Overall, it was a good experience. "A Pleasant and Peaceful Visit"
The room was clean and the beds were comfortable. I was pleased that there was a refrigerator. I appreciated the peace and quiet. If we had neighbors, I did not hear them. We took advantage of the pool and hot tub - a perfect way to relax after a day of walking. Conveniently just over a mile from downtown, we would have walked there, but the weather did not cooperate. We checked out the continental breakfast, but decided to go out to eat instead. The hotel staff that we encountered were helpful, friendly and smiling. We opted out of housekeeping during our brief stay, but we saw the same Housekeeper every morning as we left. She always greeted us with a smile and "How are you?" It was a pleasant and peaceful stay. This place was recommended to us and we were happy to find it just as friendly and clean as promised. We were there only one night so we didn't have time to try the exercise room or the pool. We were impressed by the care and friendliness of the staff. I would recommend this hotel to any of our friends visiting Saugatuck. Clean and friendly, comfortable bed and nice size room. Reception was speedy and again, friendly. Breakfast was lovely and served with a smile. We will positively stay here again when we travel for pleasure. Its been a number of years since my last stay, but the service and locations remain excellent . The Saugatuck, Mi location is well located near the hub of activities. They provide excellent facilities and the rooms come equipped with a refrigerator in addition to the other amenities that you expect or want. Come to Saugatuck, Mi and enjoy. I was very pleased with the hotel. When we arrived, the guy behind the desk was very welcoming and friendly. The hotel was very clean, the breakfast had good choices (waffles, eggs, bacon, sausage, baked goods and fruits, the wifi was free and worked. No complaints from me. The location was perfect as only 5 minutes from downtown Saugatuck. I'd definitely stay there again. Very nice clean room. Great full breakfast. Friendly staff. Expensive during the height of the season but price may be negotiable if you are quoted a cheaper price at an equivalent hotel. Can't check in until 3:00 pm but they let us check in a little earlier once a room was cleaned. Room was clean, the pool was nice and warm. It wasn't busy. We had one of the suites with the Jacuzzi which was nice. Has a nice little kitchenette with a dining nook. Short drive to Saugatuck Brewing and the town. We would stay again. The price was good versus what we usually pay for a B&B there. Overall for the price at this location I would say this was a pretty good value. Could use a little more attention to detail for vacuuming etc but no complaints on the comfort of the beds. Breakfast was WONDERFUL! It said continental breakfast, it was a full breakfast with bacon, sausage, scrabbled eggs and fresh watermelon. It was delicious. Very helpful staff and pleasant. For the area of Saugatuck I would recommend, quite and peaceful. Rates much more reasonable than almost anyone else. They were amazing! Great price. Great family owned. Can't wait to come back. They are updated clean rooms. They make sure your needs are met. The breakfast was hot and ready when we got up. YUM! Not your standard hotel breakfast. The staff were friendly and accommodating (we asked to check out late), and we liked having an indoor pool and hot tub. The location is very close to the downtown area and on the main roadway in and out of town. "Uneventful in the best possible way"
Everything was just as it should be - courteous staff, and everything worked the way it should. All hotel stays should be just like this. Breakfast was just like other Best Westerns and the hotel is very close to downtown Saugatuk as well as Douglas and New Holland. 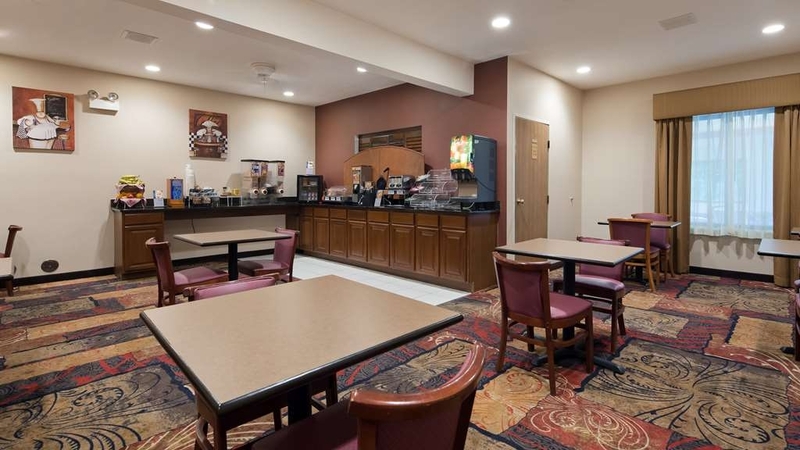 In general, I found this Best Western to be a good deal for the price... good staff, clean- with lots of amenities, and good continental breakfast (with healthy items, actually!) I definitely recommend them. "If you need a place..."
My wife and I spent a few days in the area. We decided to stay here based on its location. It was an average room. Room was clean but small. The bed was really firm if that is what you like. The front desk staff was very nice. We used the hot tub which was a pretty good size. Nothing really special about the place. It is what it is. Next time we are going to try a bed and breakfast. My wife and another couple stayed here for two nights. This is a great place to stay if you want to enjoy the Saugatuck, Douglas and Holland areas. The hotel staff is very polite, caring and helpful. Every time we encountered one of the staff, they wanted to know if everything was alright and if they could help us in any way. The facility was also very clean and quiet and the rooms and beds were very comfortable. My wife and our friends love to walk every day for exercise and they really enjoyed the surrounding neighborhoods and environment. It was a little over a mile to the heart of downtown Saugatuck and they enjoyed their walk there every day. Not being a walker, I drove and found the area easy to navigate. The complimentary breakfast was good with many selections of breakfast foods. 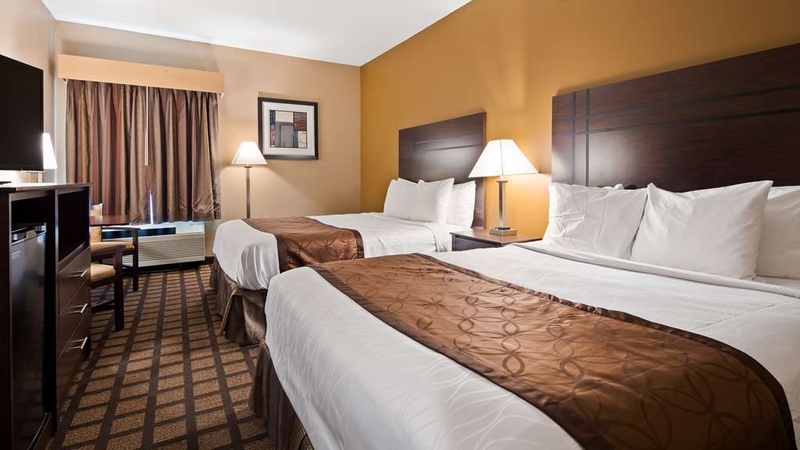 We highly recommend this hotel for convenience, cleanliness, comfort, economy and friendliness. customer service was top notch. location was very convenient, better than it appeared when just looking at a map. easy access to Saugatuck, Douglas, and Holland. the offered breakfast was well rounded. we would definitely recommend to anyone in the future. "quite, well located. reasonable price given the location"
We stayed here one nice so we could visit Holland MI, the next morning. All the hotels in this area are pricey. This one at least offered reasonable value in my eye. Room clean, Wifi worked fine, and breakfast was a nice treat in the morning. As for supper, we ended up driving down to the dock area and found some interesting restaurants. The hotel recommended (in their room guide book), was the local golf course... and we all know how much they can be. As it turned out it was closed. "Tulip Time with the Girls"
Hotel staff are very considerate and caring about your needs during your stay. Breakfast was good, fresh. Pool had a good temperature and towels were available. Room was clean and comfortable. Easily accessible to the highway....convenient to the attractions we came for. If we needed anything the staff attended to our needs promptly. My wife & I recently stopped in Saugatuck Michigan & we stayed at the Best Western on Blue Star Highway. We had a great stay. We were in a king whirlpool room that was perfect. Clean, functional & comfortable. Service was courteous & helpful & the morning breakfast was as good as it gets. Bravo Best Western, we'll be back! This hotel is OK; comfortable and quiet. But for the prices they charge, I would expect better quality towels and a better hot breakfast selection. Also the TV had a high def screen but no high def cables, and the resolution was too big for the screen. "A little pricey, but nice !" We planned visiting the Tulip Festival in Holland and found the pricing for all the holtel to include bestwestern quite high. Thats when i found this one only 13miles outside/distant from holland. The hotal turned out to be the interior type and well maintained, along with the hotel employees very helpful and friendly. We were in the area for the Holland Tulip Festival and had a hard time leaving this area to go to Holland. The Best Western is wonderfully situated for both areas, has a GREAT breakfast, real nice pool and hot tub. In addition, the staff was great. "Property Is Fine, Staff Needs Some Work"
We checked in with confirmed reservations for our room. When we pulled in, the lot was empty save for one other car, the lobby was empty as well. Given these conditions, you would expect the attendant at the desk to have adequate opportunity to provide good customer service. Instead we were greeted quite abruptly, almost rudely, like we were an unwelcome intrusion. We got through the uncomfortable check-in process and went to our room to be pleasantly surprised. The room was spacious enough, comfortably appointed and very clean. I also liked that it had a window that could be opened for fresh air, if you so choose. The location is very quiet and reasonably close to the town of Saugatuck or also to hop back on the highway to go into Holland. Be advised that the property does not have an elevator, and that rooms close to the hot tub / pool area might have chlorine smells to contend with. 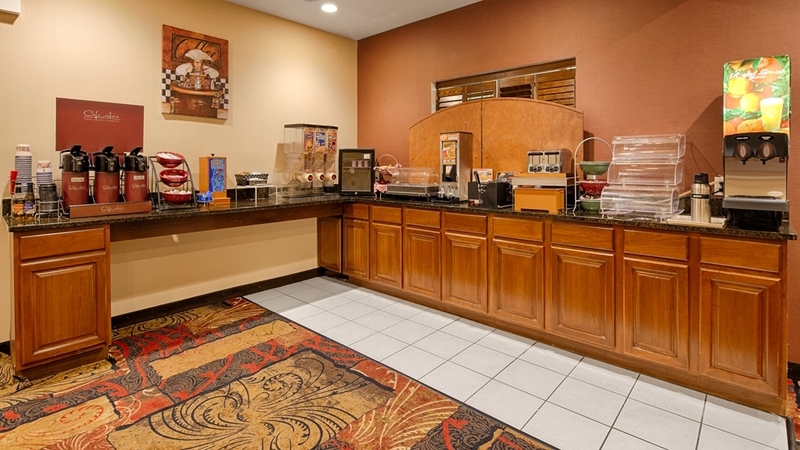 There is a pretty standard breakfast bar included with your stay. Repeated intreractions with desk staff convinced me that they sorely need to polish their customer service skills. Otherwise the property itself is a good option for the area. Came to see the tulips this spring and decided to stay someplace new. Chose this hotel b/c of location and value. Service was excellent, family owned with caring staff. Room was clean with mini-frig which wasn't listed on website! Used fitness room and hot-tub all well taken care of. Had breakfast right at end of time and only grabbed a muffin but had nice selection. Will return again. "I slept like a baby"
The room was clean and quiet. I used the hot tub. Everything in the room worked. The towels in the room were decent. I like the choose of soft and firm pillows. I choose soft pillows. Fresh fruit was available for breakfast. My only complaint is that they did not have real butter at breakfast. The coffee was good. "Clean, quiet, safe, but nothing remarkable." We needed a place to stay overnight with a child headed to Hope College. 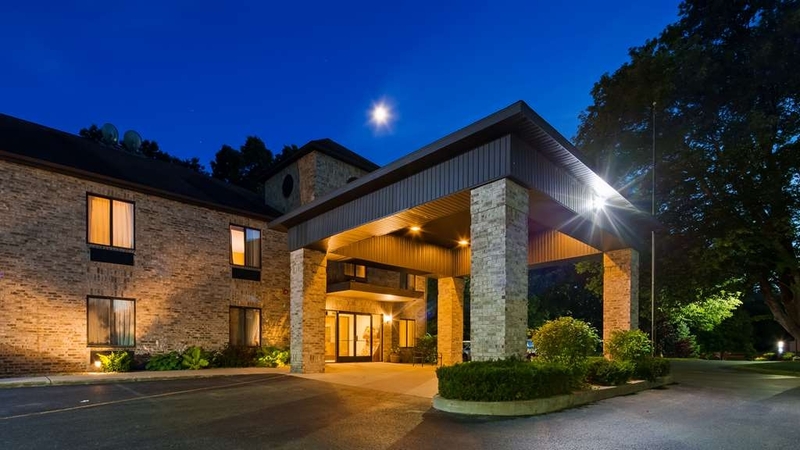 This hotel is less than 15 min from downtown Holland and 10 min from downtown Saugatuck and was highly rated on TripAdvisor - so we took a chance. The staff is very friendly. The hotel is clean and quiet and just down the street from a State Police post. Nothing remarkable however. Free wifi internet worked well. Continental breakfast is just the essentials with coffee, toast, waffle maker, cereal - we passed. They have a pool and Jacuzzi we saw others using. It was very affordable and just what we needed for one night. Would recommend, but keep your expectations modest. "Comfortable beds great complimentary breakfast"
"VERY good room for the money....."
We took our kids for an overnight stay to this Hotel this weekend. It was a VERY good value for the money. It's early April so we only paid $90 for a room with 2 queen beds. The room was very clean and everything was well stocked and professional. The breakfast was better than most Hotels with a "free" breakfast. Fruit, Bagels, Cereal, eggs, waffles, juice, milk and sausage patties ensured the fact that our kids would be full and saved us about $40 on breakfast. The Patel family owns this Hotel and every one of them was very nice, professional and friendly. I won't hesitate to stay here again. I didn't rate it 5 stars as the pool and hot tub were a little small, but no big deal in the end. VERY good value for the money! 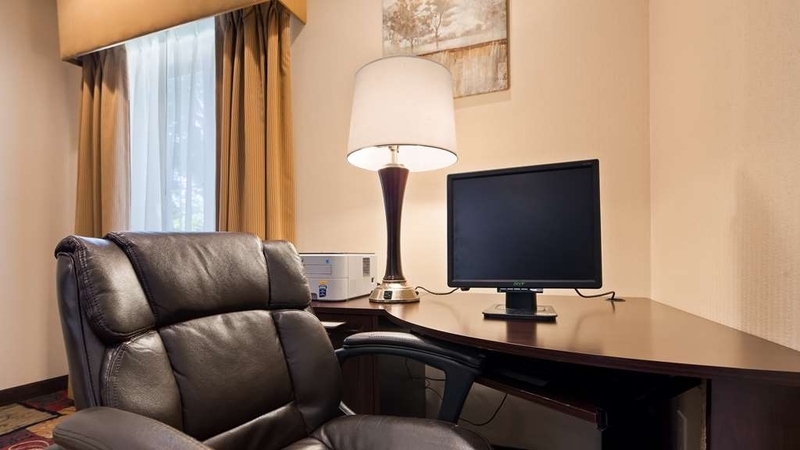 "An excellent place to stay in Saugatuck"
This is a good hotel for the business traveller who wants a nicely appointed, quiet hotel in the Saugatuck/Douglas area; the rooms are clean and nicely decorated, and the internet service is easy and fast to use. The staff are really friendly and helpful, and asked me repeatedly what they could do to make my stay better (which I really appreciated)! The breakfast is very nice; there is a good selection of hot/cold items and plenty of it, as well. Very clean hotel that was recently renovated. Friendly and courteous staff. 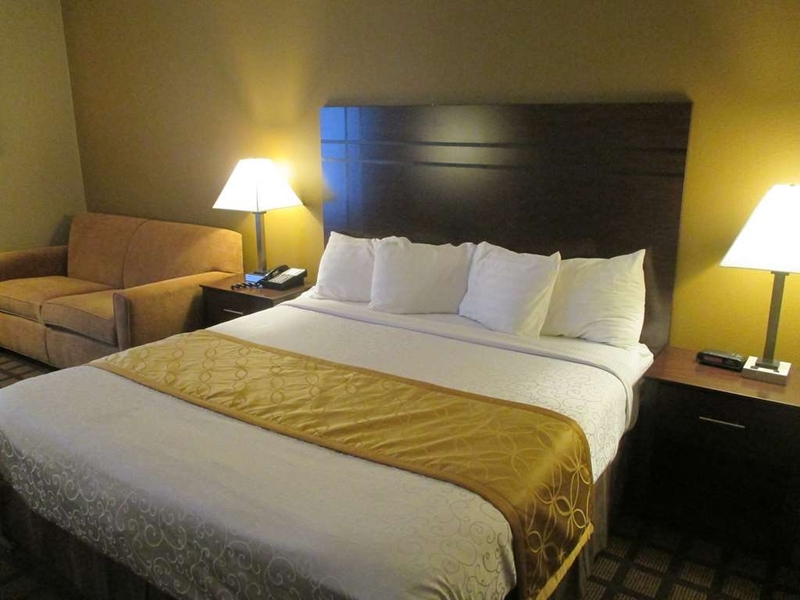 The hotel is within walking distance to downtown Saugatuck with easy access to major highways. I will be staying here again during future visits to Saugatuck. Excellent hotel. Clean, comfortable, modern room with with up-to-date decor. The bathroom was much nicer than I was expecting (such as the granite counter top). The indoor pool and whirlpool is very nice also. I will stay in this hotel again. My stay was great. I stay there in wintertime just about every year. Only when the weather gets too bad to drive home which is about 20 miles one way. I work down the road from the Best Western late at night so it is convenient for me. Staff are real friendly, always happy to see you back. Exterior and interior are always real clean. Rooms are real clean. They have Continental breakfast. Coffee maker's in rooms as well as with Continental Breakfast. Microwaves and refrigerators as well in rooms. There is indoor pool, though I have not had chance to use yet. There is also workout room available. Local information on dining and things to do available. We were made to feel at home by the sweet staff, we enjoyed the clean & up to date facilities. Big flat screen, comfortable beds, near to attractions... The breakfast was great as well! We will come back for sure! This is an average hotel with clean rooms, clean facilities, a decent pool and an average breakfast. Nothing negative to report. Staff members were very friendly and very upbeat. Outside the downtown area, but not too far away. A good location fro the freeway. "Pleasant stay even though we were rarely there. Good location for the areas we wanted to visit." Everything was great except the WI-FI. Every time we tried to use it we were kicked off. That was frustrating but otherwise from that everything was very nice. Continental Breakfast was nice with lots to choose from. I found the hotel to be very affordable during there busy season and comfortable. The staff was very accommodating and friendly. I really enjoyed my visit and the hospitality. I would highly recommend the Best Western to any family or friends traveling into Saugatuck or Douglas. The rooms were clean and all amenity's were as advertised. "Nice hotel with caring staff"
Very nice hotel with new beds and decor. Modern wall colors and furnishings. Pool was a bit cold but everything else was great! Hot tub was great! Staff was friendly and on top of everything! Hotel has been updated and very attractive. We booked a weekend trip last minute to take the kids for some fun in the snow. This hotel was very inexpensive but we had an amazing time. Room was large and clean. Fridge for leftovers. We visited the pool three times. Once after checkout! The staff was so friendly and helpful. We will definitely be back. I really enjoyed my stay it was relaxing and the area is beautiful. Service was exceptional. My check in was very efficient. Our room, # 26 was very clean. I will stay there next time I visit the area. My wife and I stayed overnight and found this would be a good place for a night. The staff was friendly but the lobby crowded with furniture from some of the rooms.when we arrived so this did not leave a good starting impression. The room was clean but very spartan in amenities. The bed was at best OK. I travel for a living and spend many nights in hotels. This one is one I would stay at only if I need it for a cheap price. "Not bad, could be better"
The stay was good. Staff very friendly Need to work on cleaning certain areas. Pool was nice. Good Wi-Fi and TV. Room was clean, except for deep cleaning, dusting lamps etc. Over all not bad. Suited our purpose for a family get together. Staff was unwilling to accommodate our room request. The WiFi was terrible, and the room key cards didn't work well. They also charged us the full rack rate, which was absurd. I've stayed at much nicer hotels that cost much less. This is a nice place. It is clean and quiet. The price is reasonable for the area. It is a basic hotel with nothing fancy. The breakfast is good with your typical selections. Convenient location near the city. We were given an AARP discount on check in but it was not reflected on the bill. It was corrected when checking out. The entire staff; front desk, housekeeping and breakfast room, were most welcoming and frequently asked if everything was OK. Rooms were well maintained and breakfast was very good. The downside for some is that the hotel has two floors and no elevator. Great location for Saugatuck visit. One mile to town and 1/2 mile from golf course. "Clean, good staff, good value"
I like this place. It is quiet, comfortable beds, nice lobby, many breakfast items (even a couple protein items) good location, and good value. No complaints, I would stay here again Oh yes, I almost forgot, the staff were all very nice and very helpful. "Good Alternative to Pricey B&Bs"
This is in "north" Saugatuck, not the touristy area, and is a short drive away from the main tourist drag of Butler street via Holland avenue. Unlike the B&Bs in town, there is no minimum 2 night stay. The property is older but well maintained and everything was clean. It is very quiet, being next to a state police barracks and across the street from a cemetery. Breakfast was very average. The only downside is this two-story hotel has no elevator. Stayed 2 nights and it was fine. Queen beds had good mattresses- supportive but not too hard. Had full box spring and mattress covers on. The chair had a burn hole, though nothing smelled of smoke. The bathroom was clean. The shower was made for a tall person -neither of us could reach the shower head to move or adjust it. The refrigerator worked just fine, although we wiped out some crumbs before using it. The TV was difficult to figure out but the staff was very helpful and friendly. They assisted us in getting the wifi to work, too. Breakfast was standard fare: eggs, sausage, gravy, cereal, make your own waffles, coffee a little on the weak side. We were on the 2nd floor, near the end of the building, facing the woods. It was very quiet. We appreciated that! They offered to carry our luggage up since there is no elevator. We would probably stay again if we ever return.